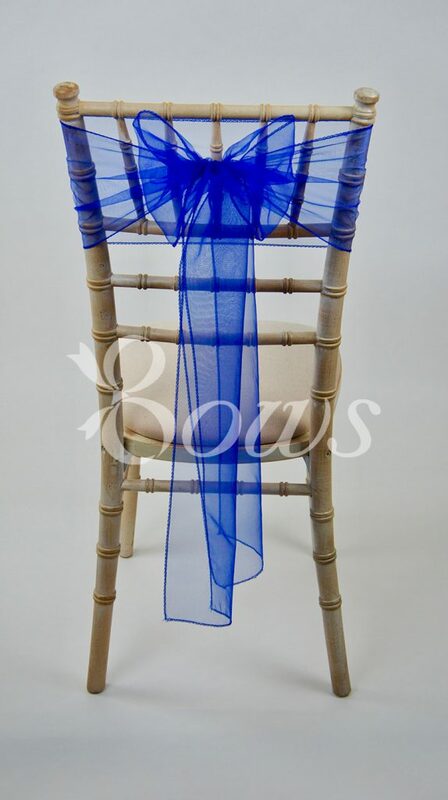 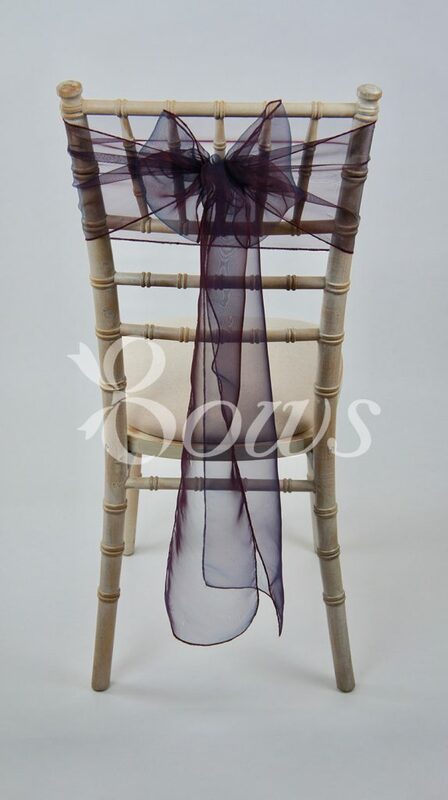 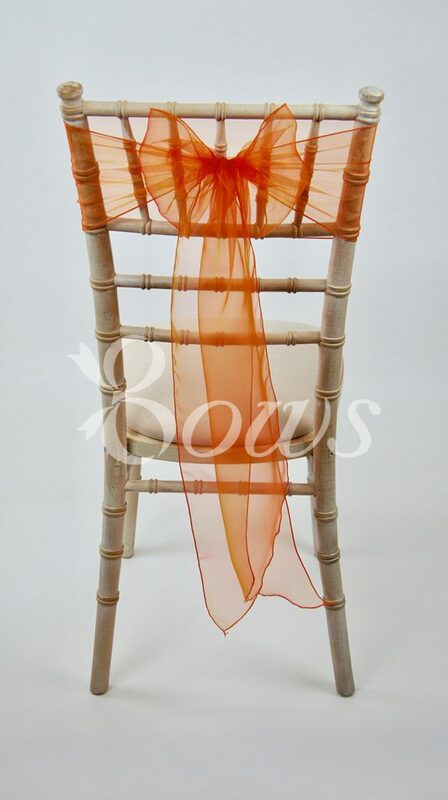 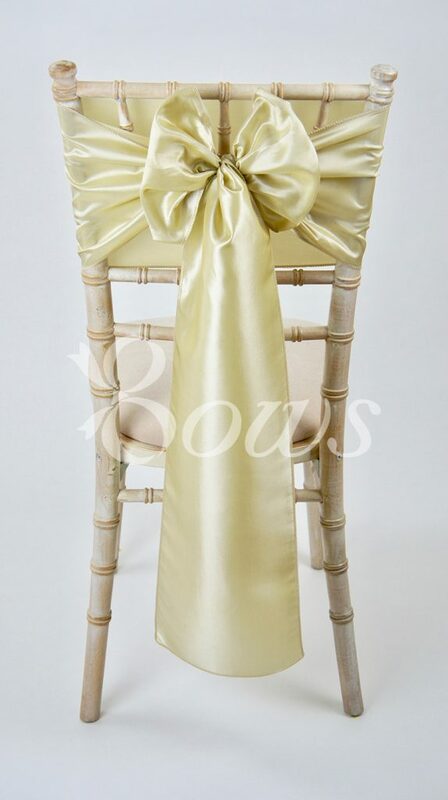 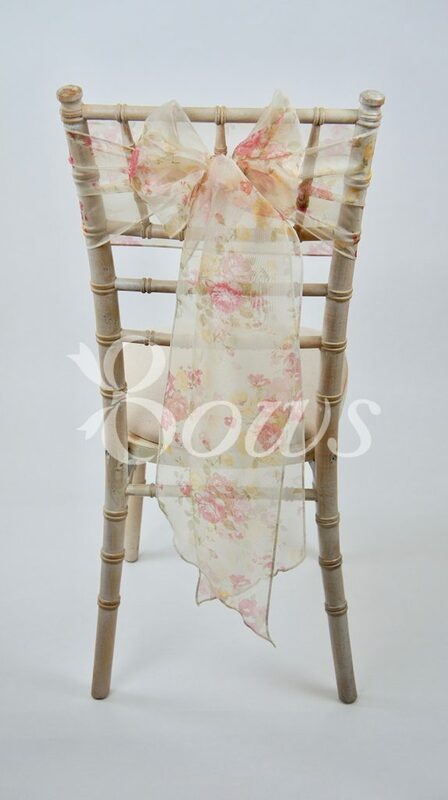 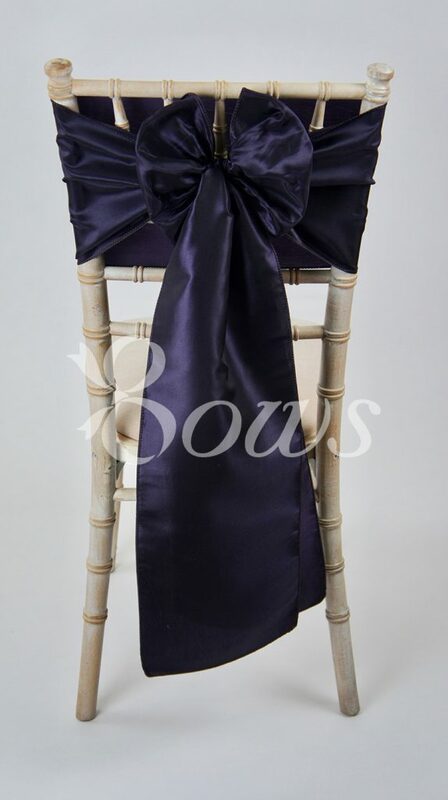 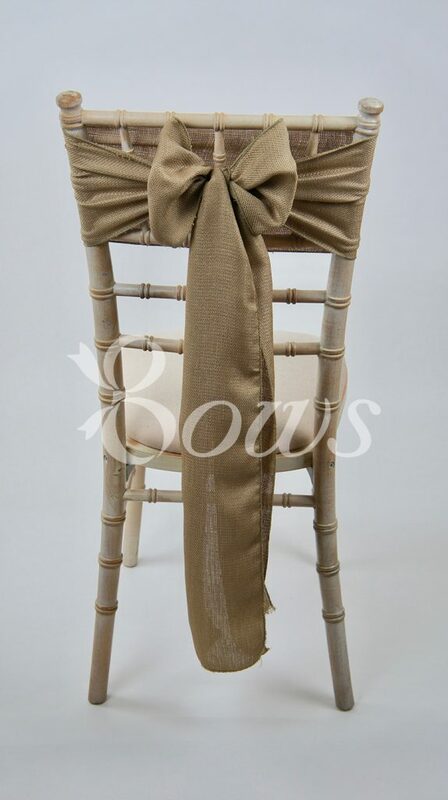 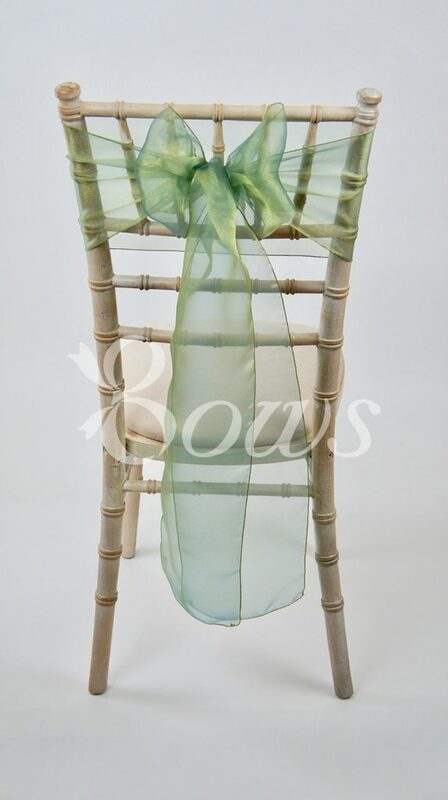 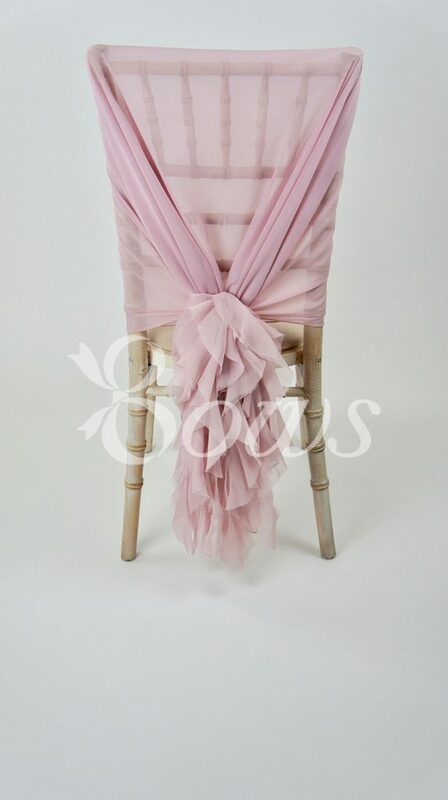 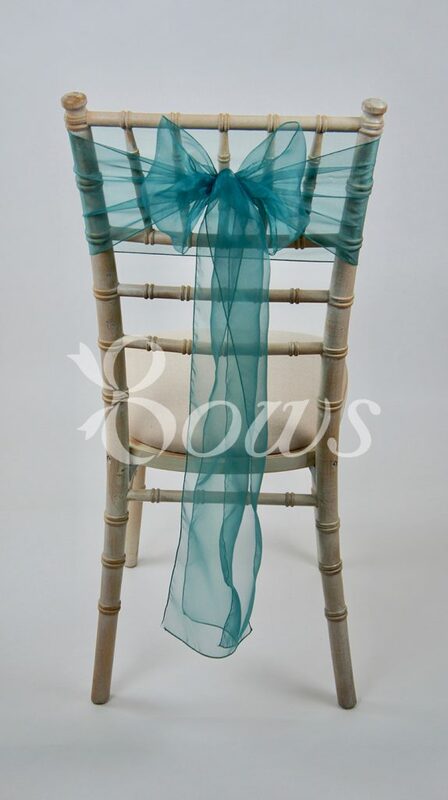 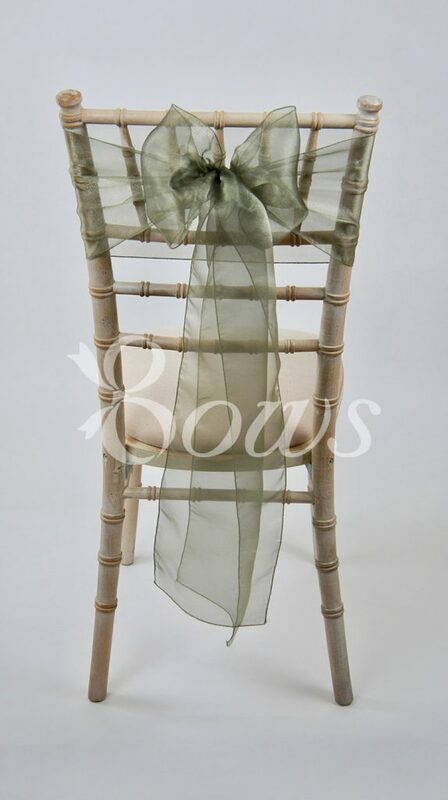 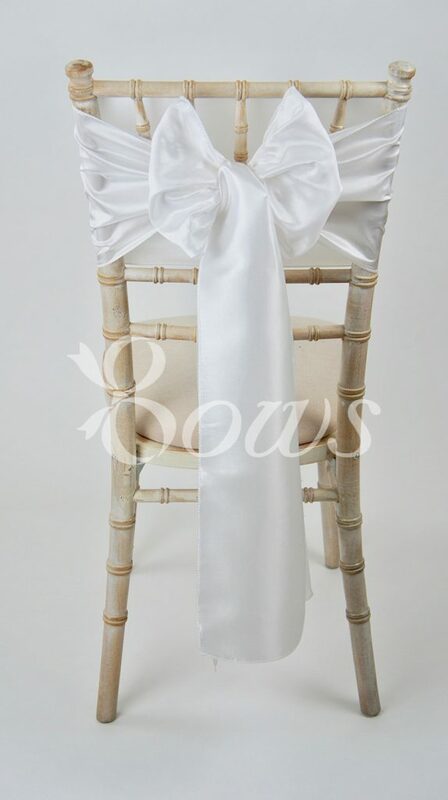 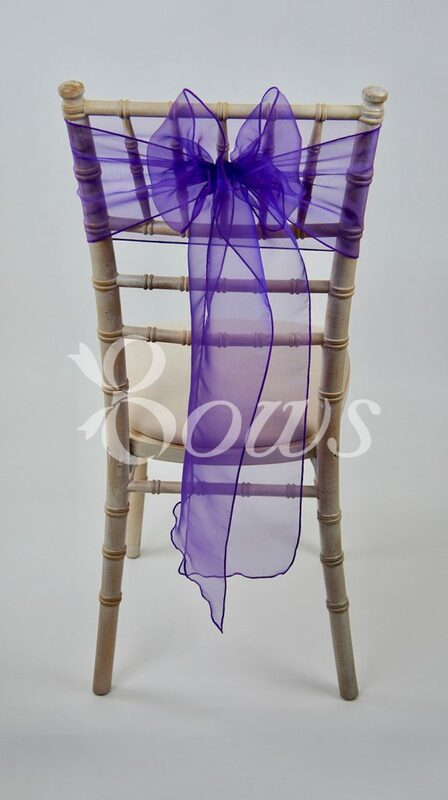 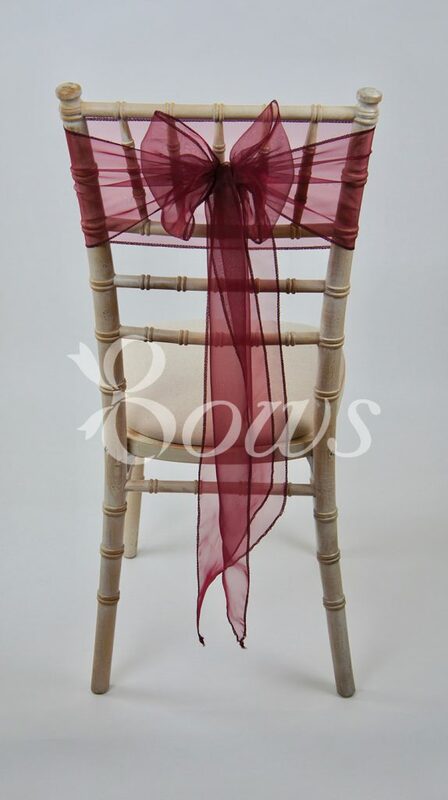 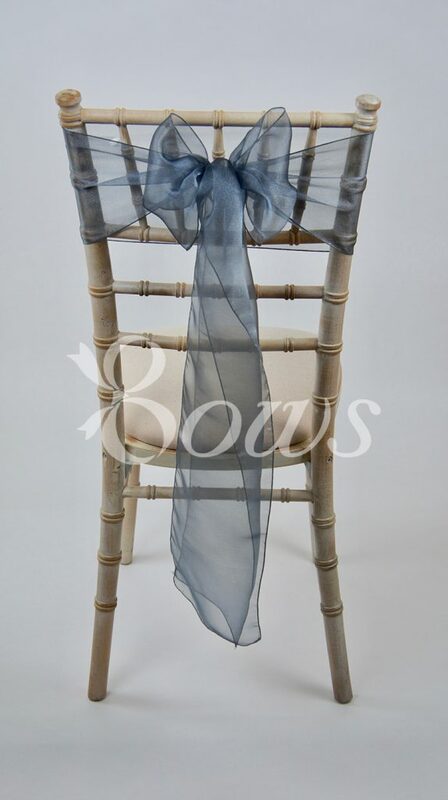 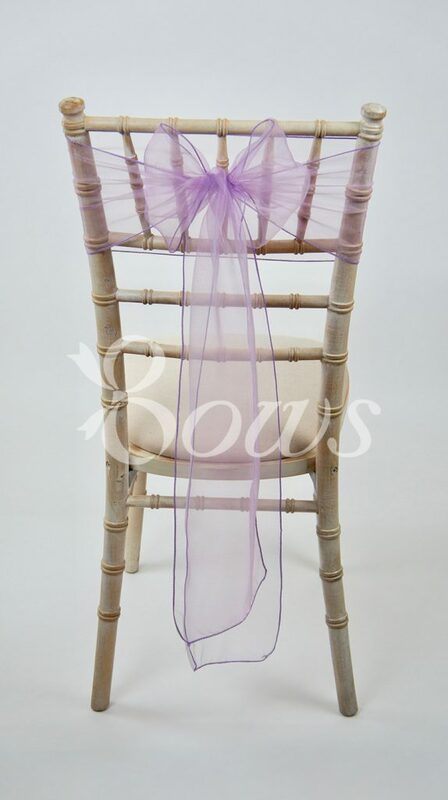 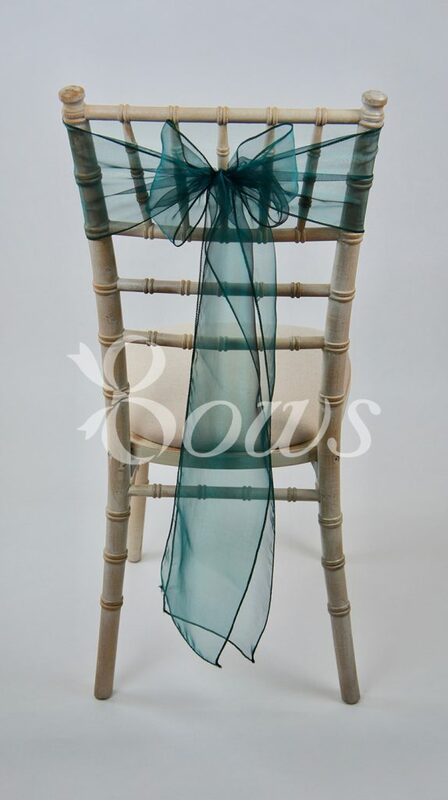 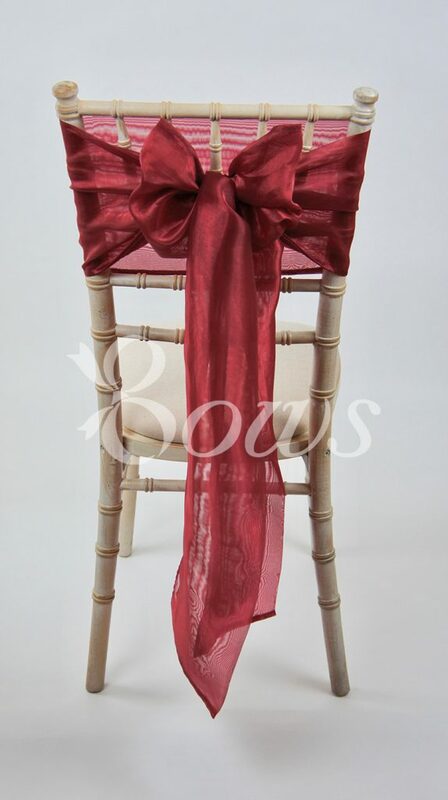 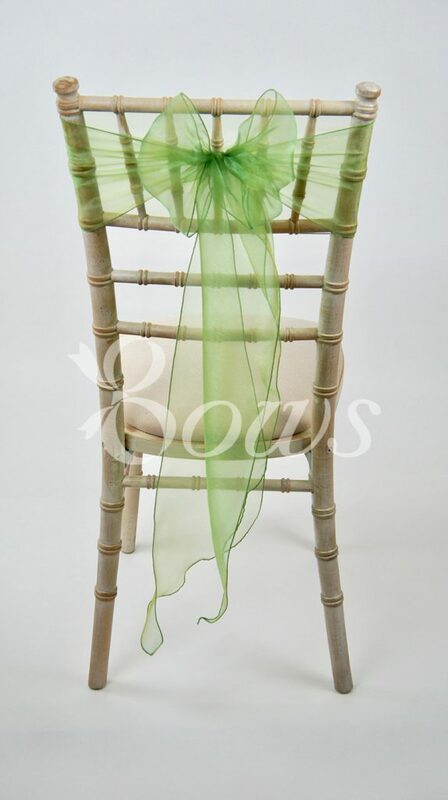 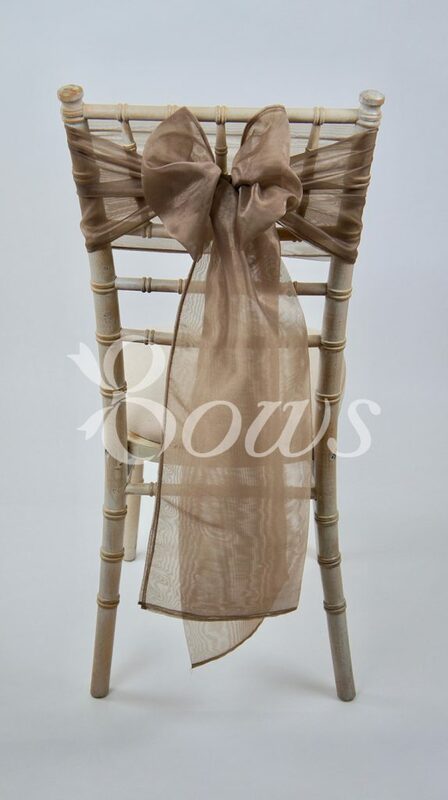 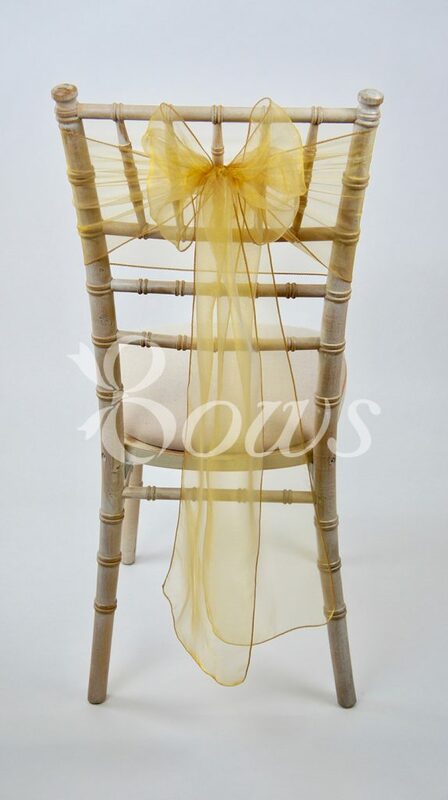 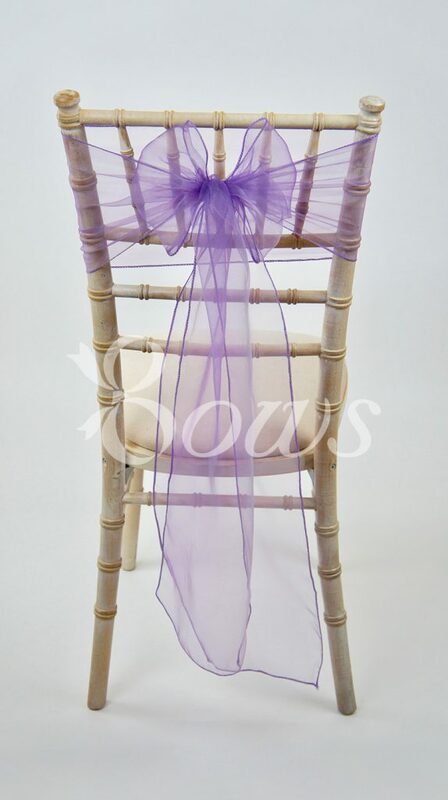 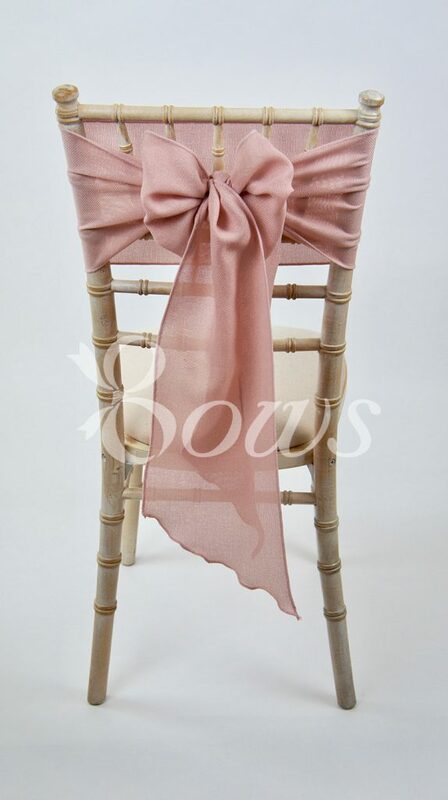 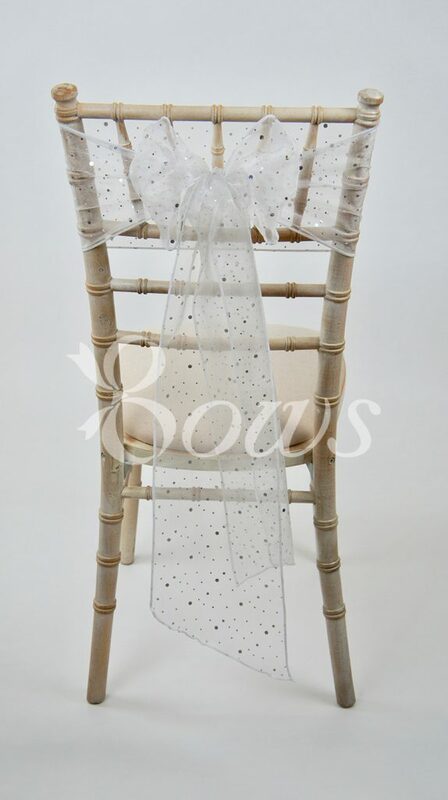 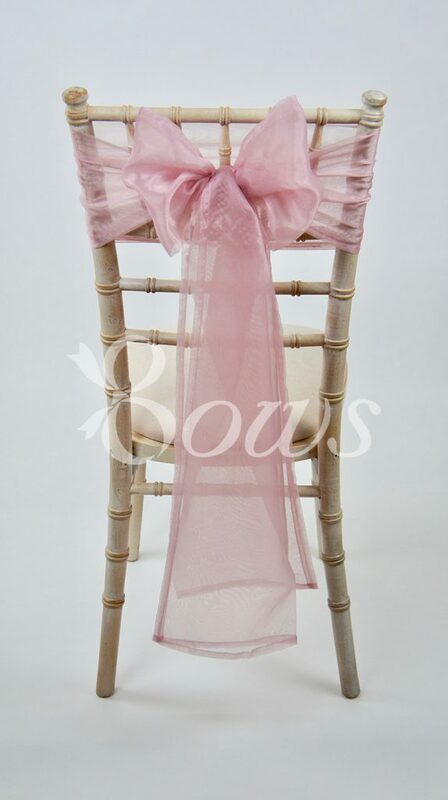 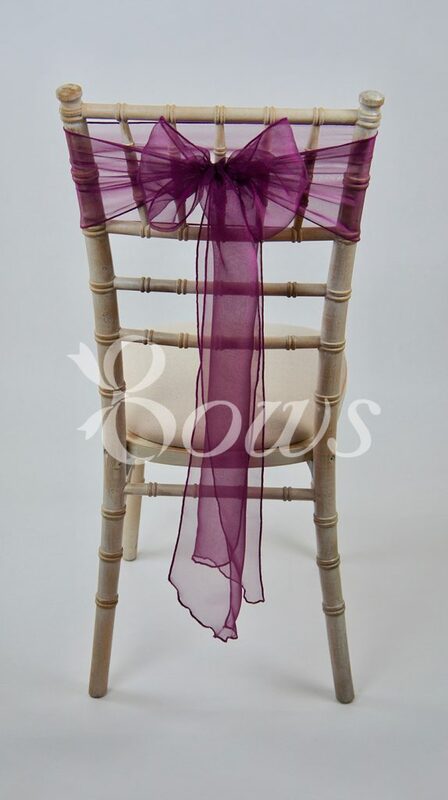 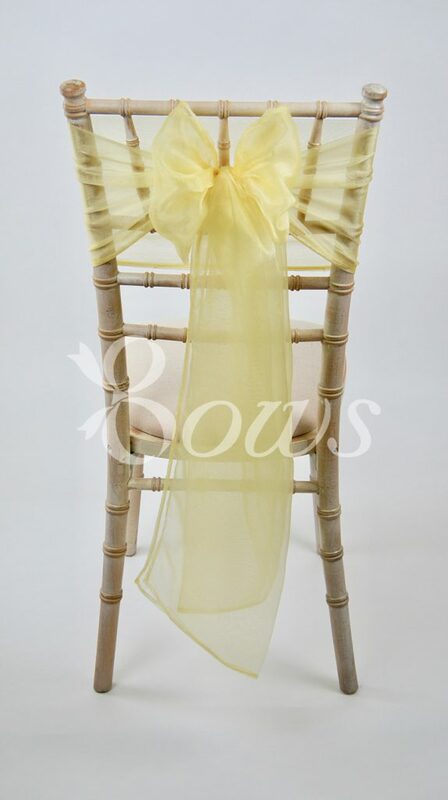 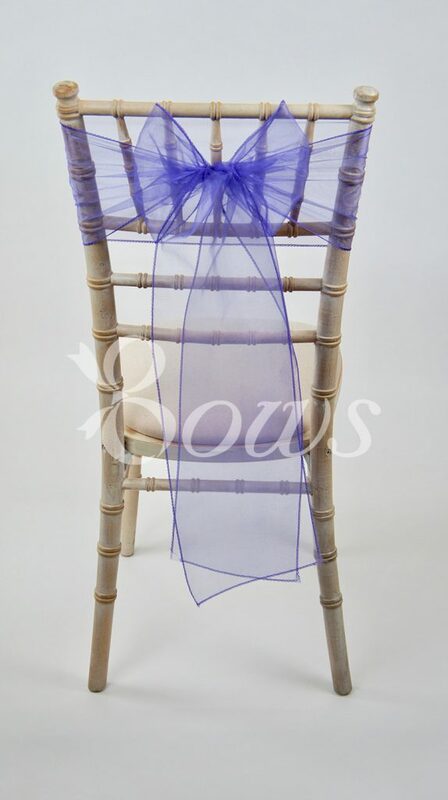 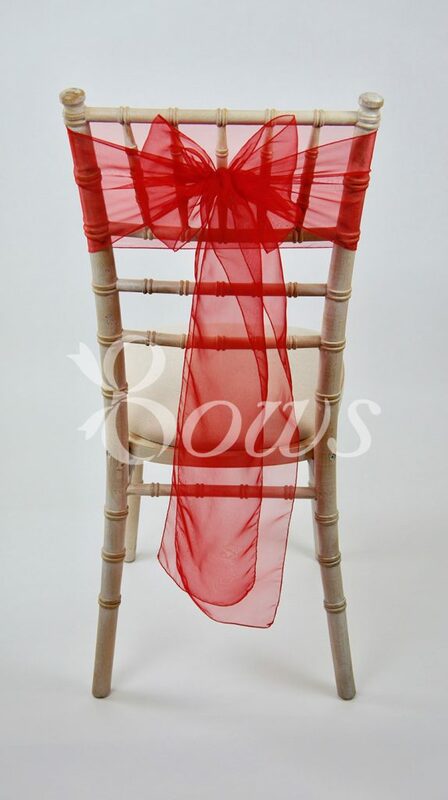 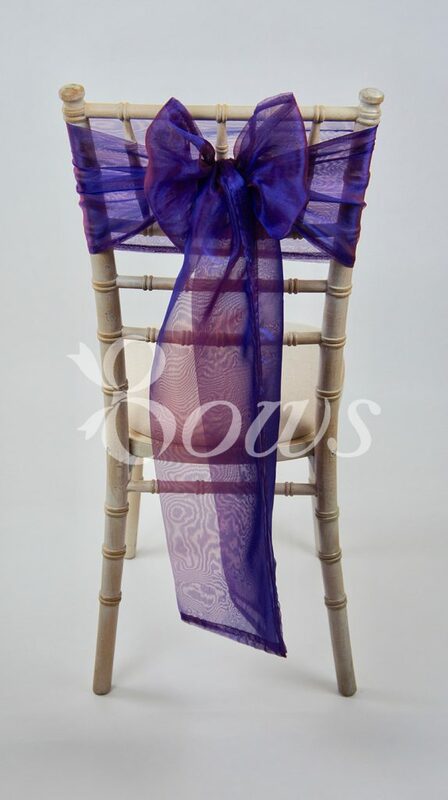 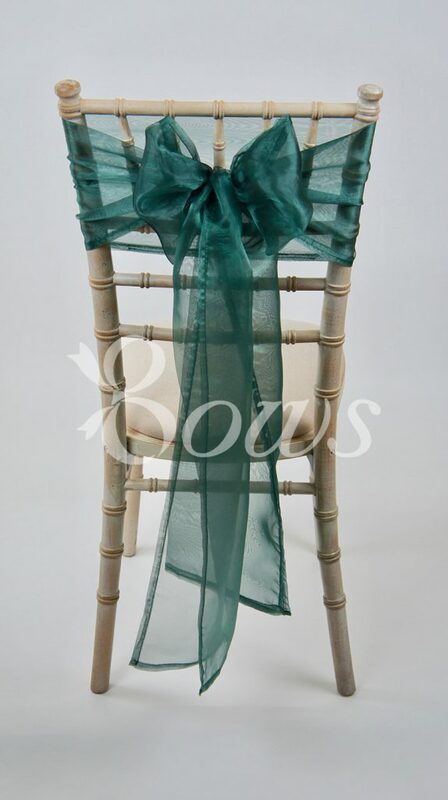 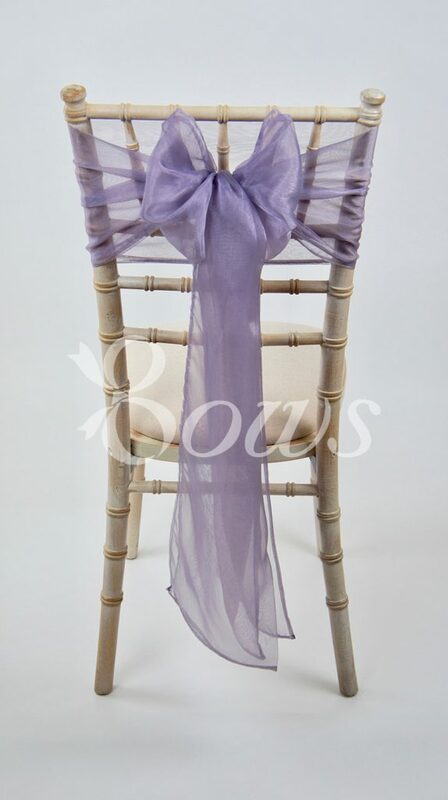 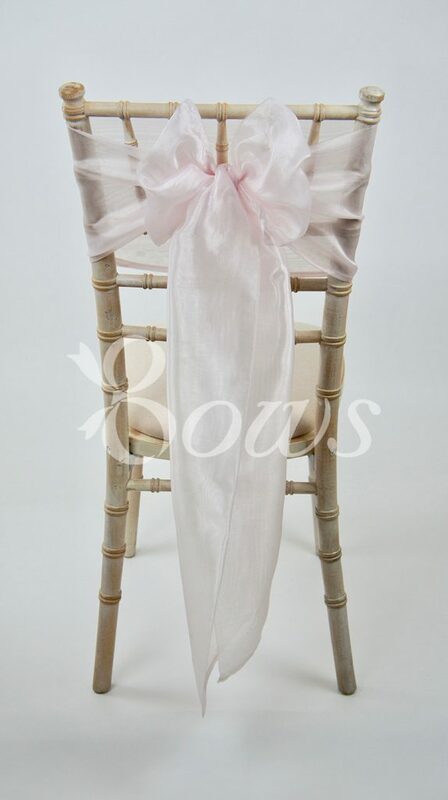 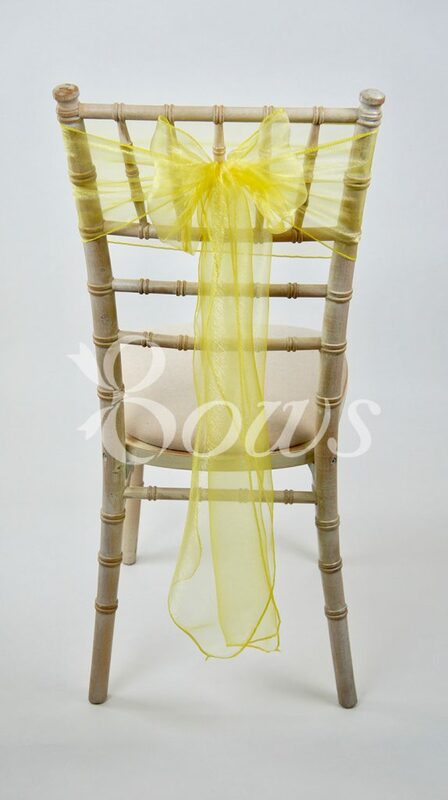 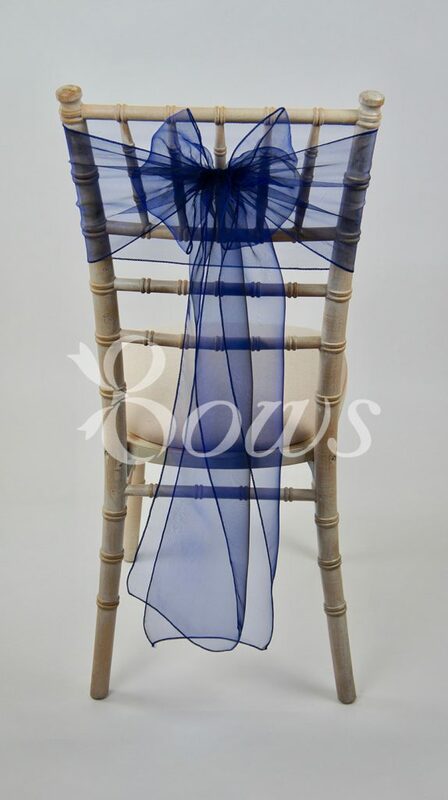 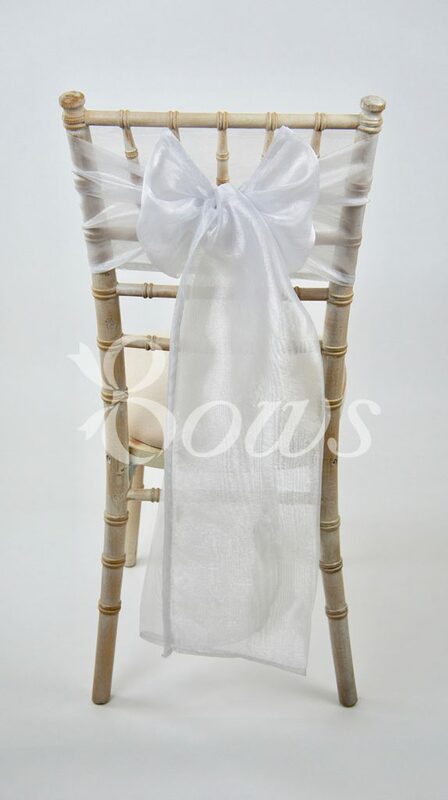 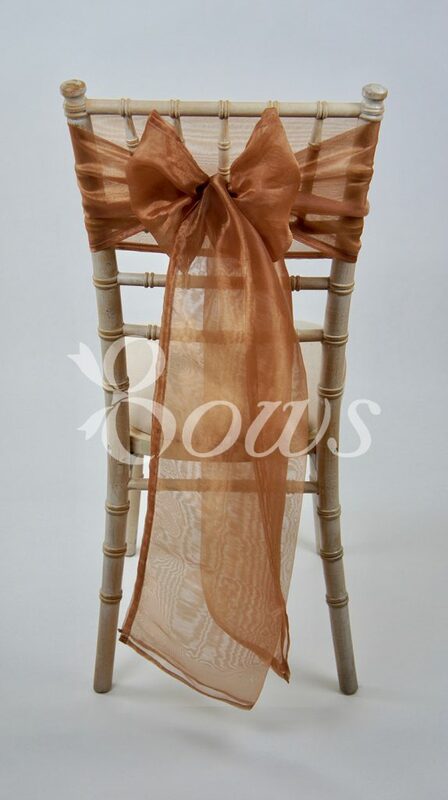 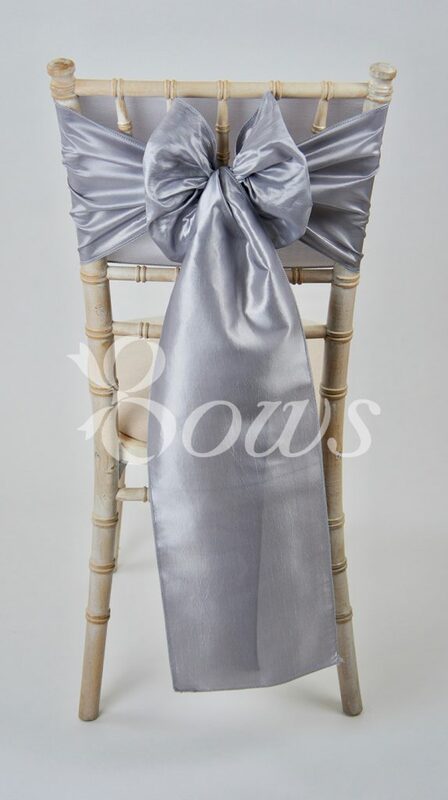 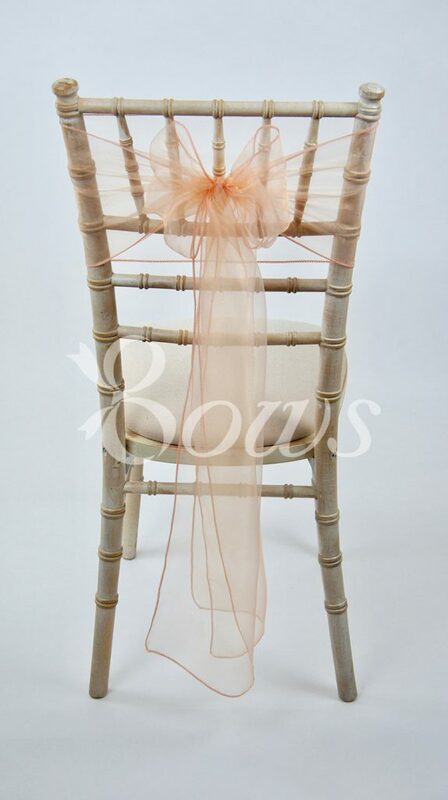 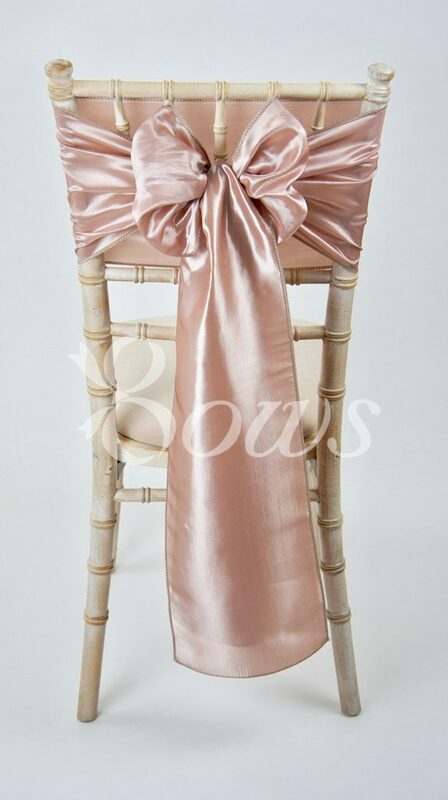 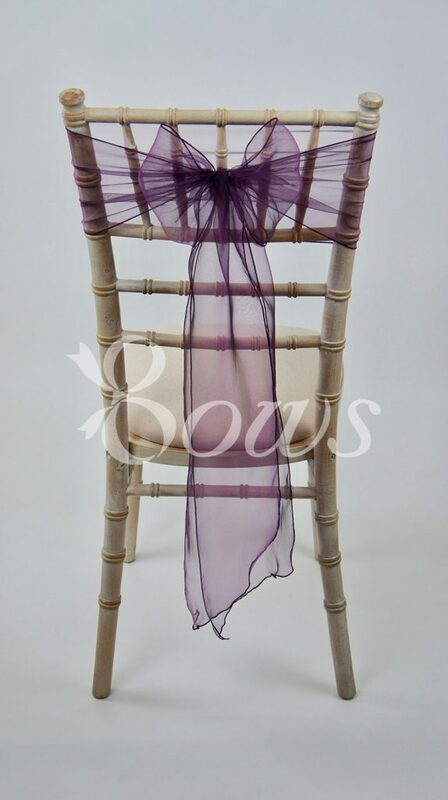 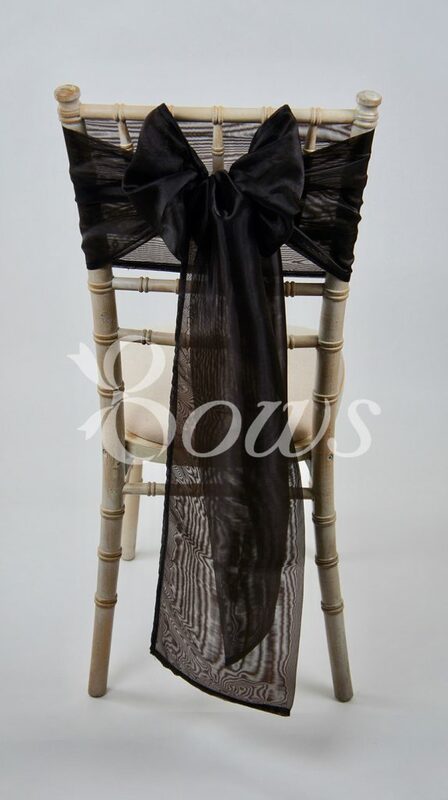 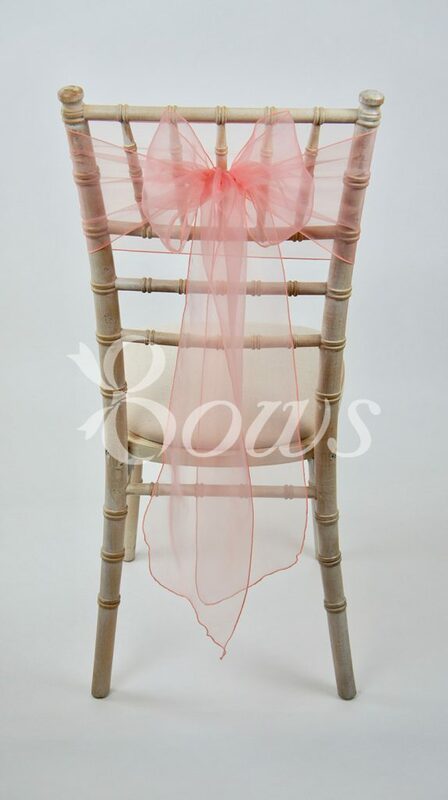 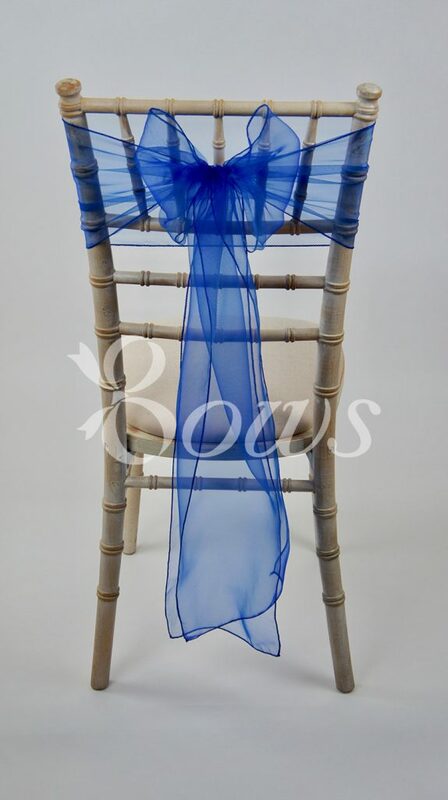 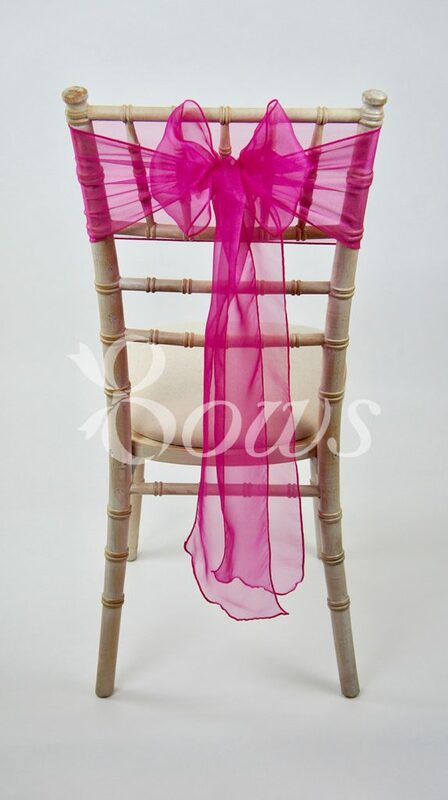 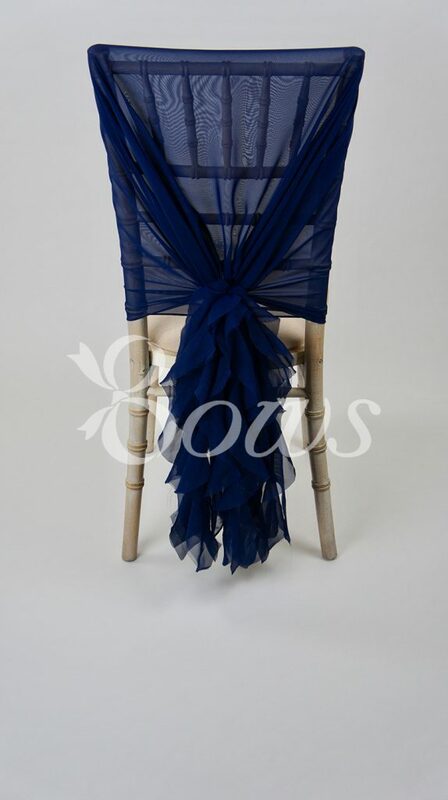 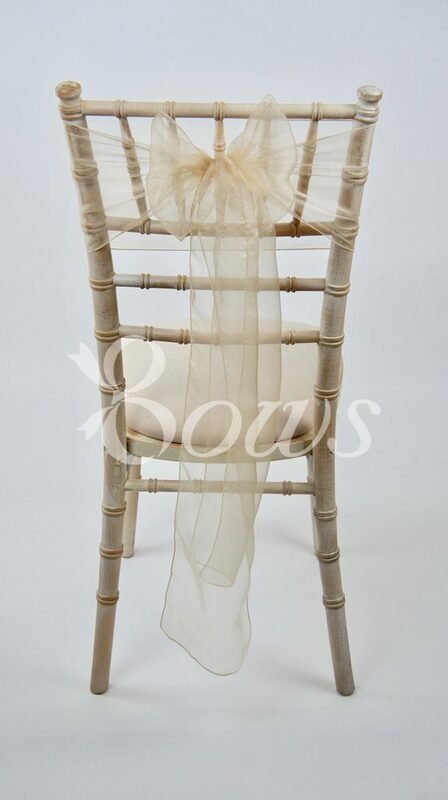 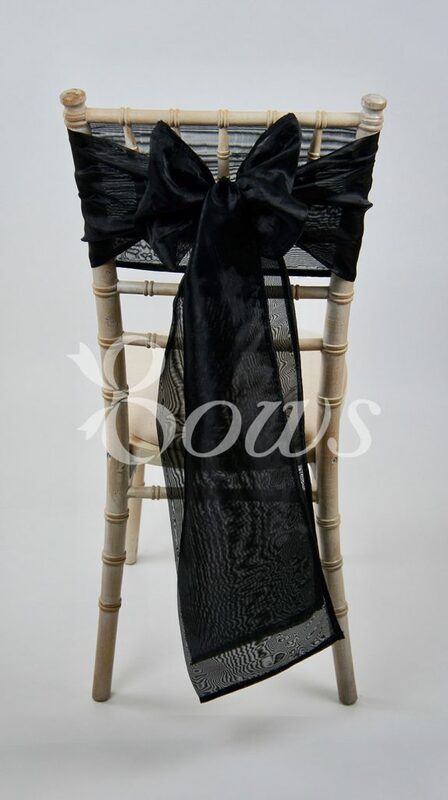 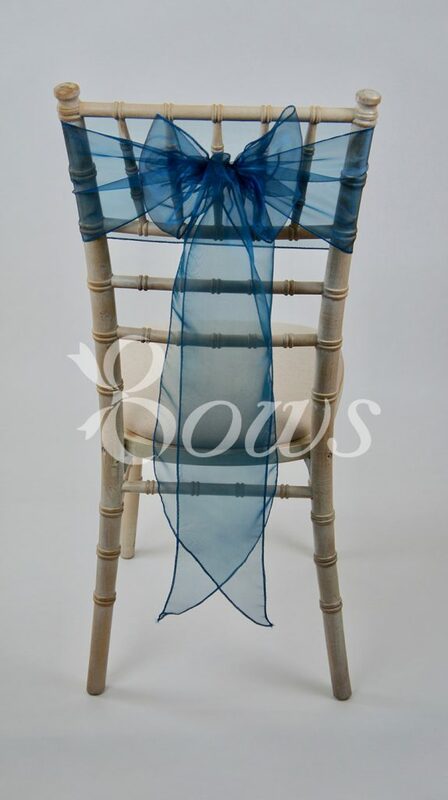 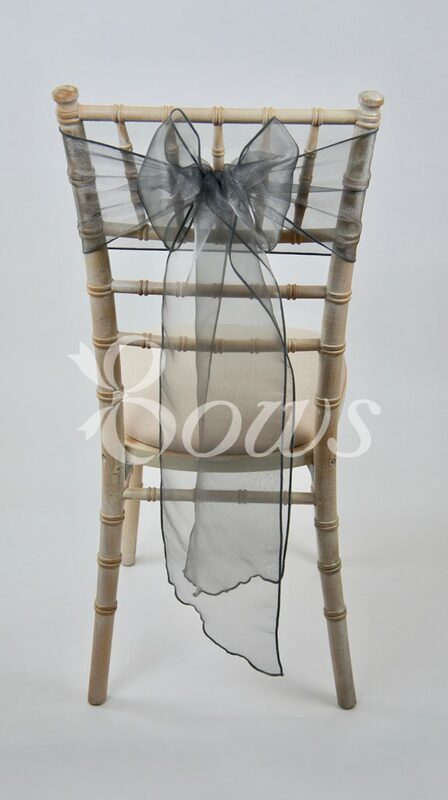 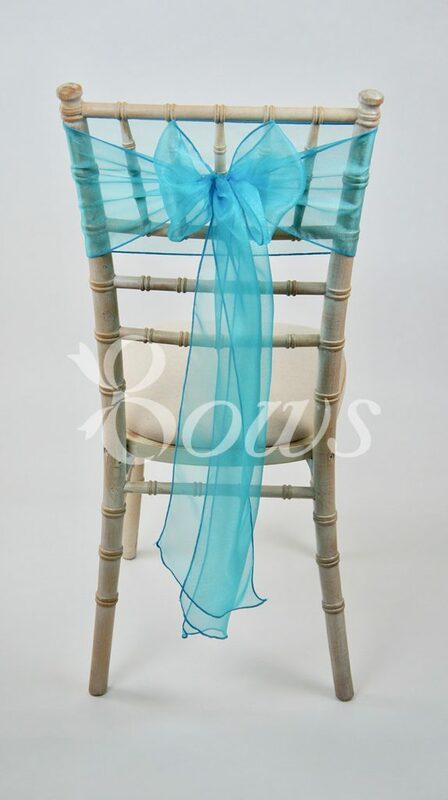 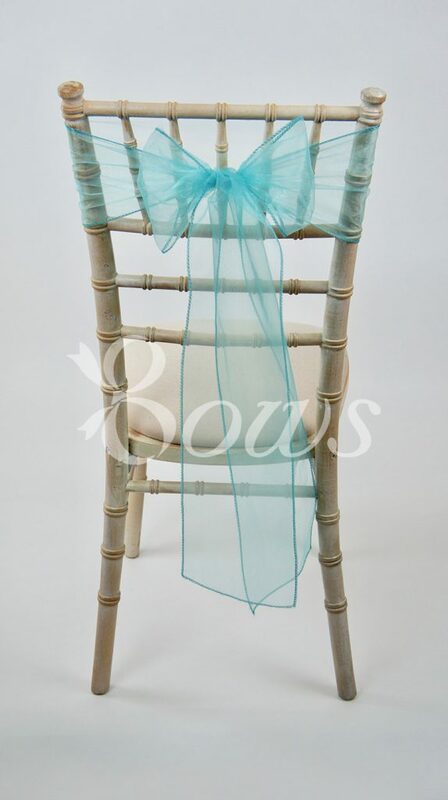 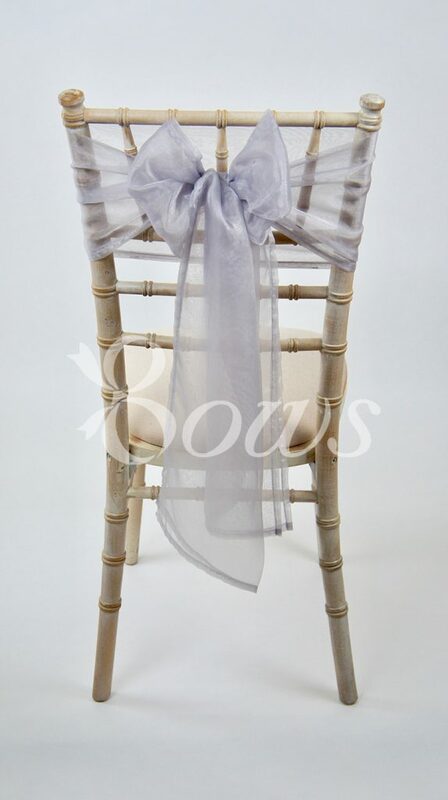 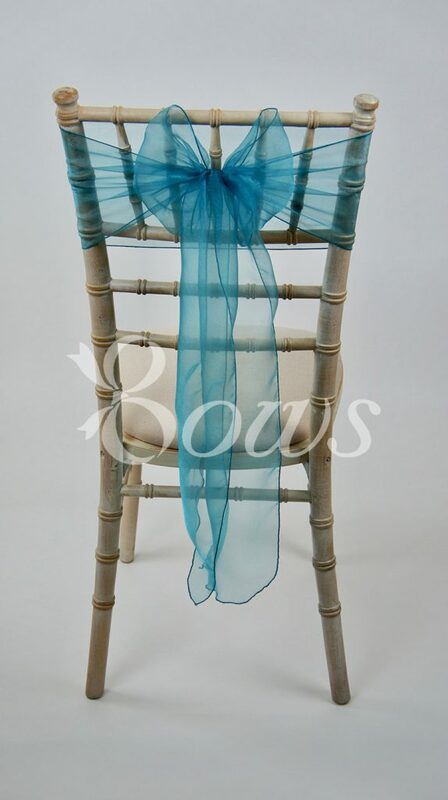 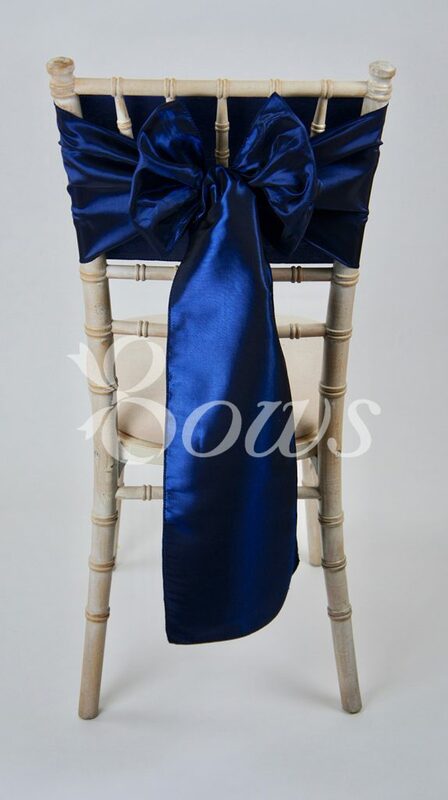 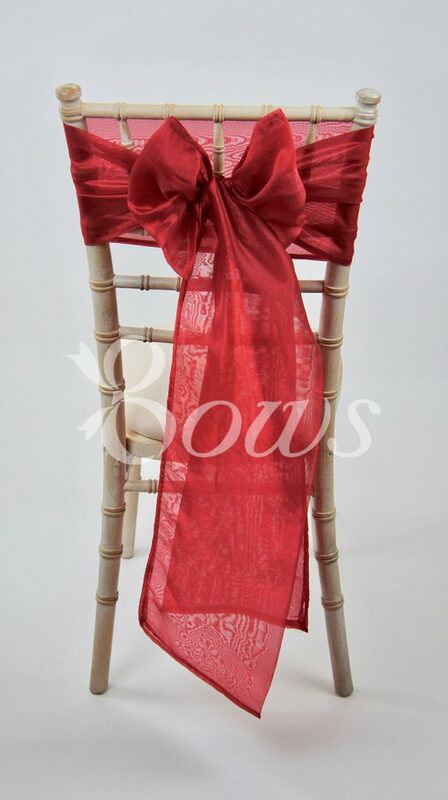 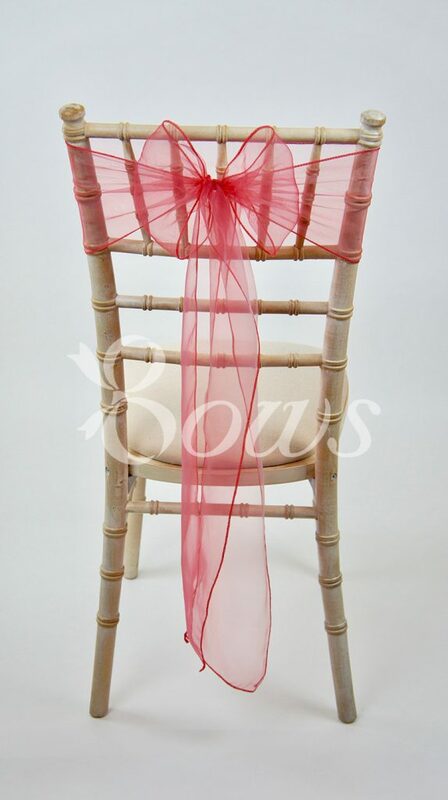 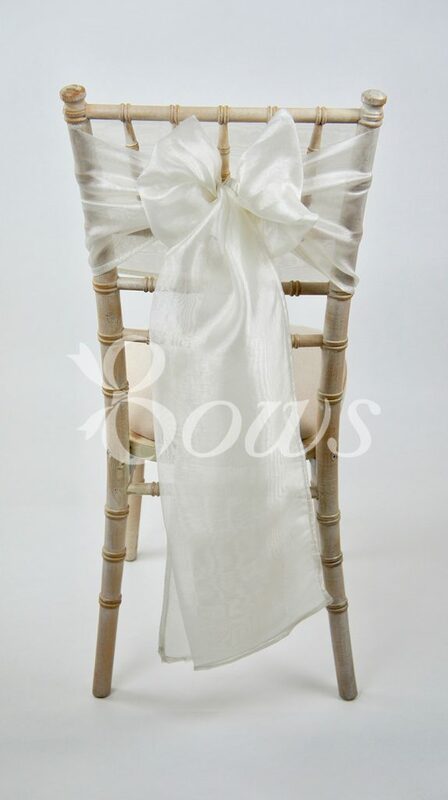 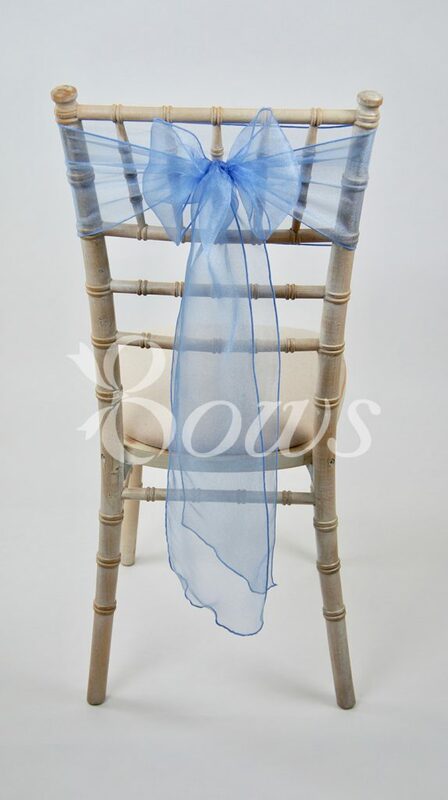 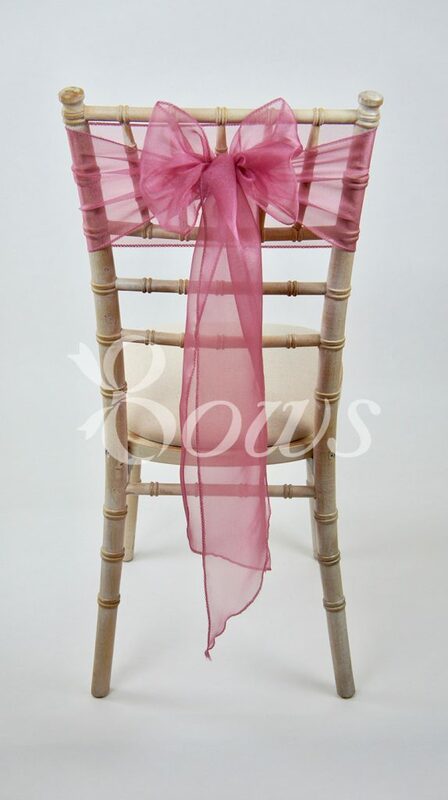 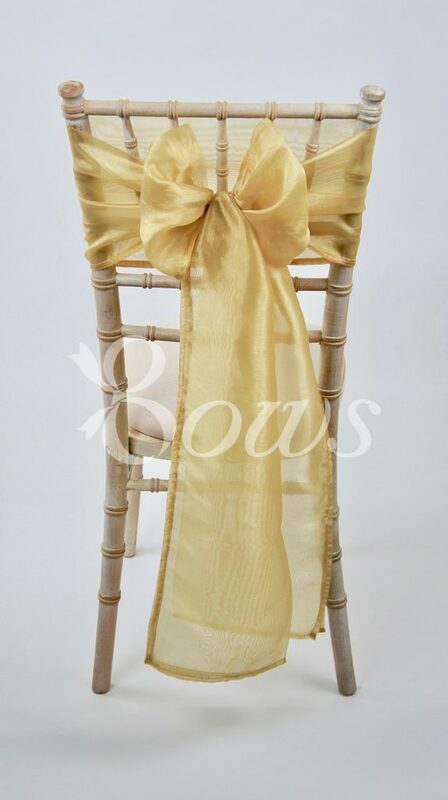 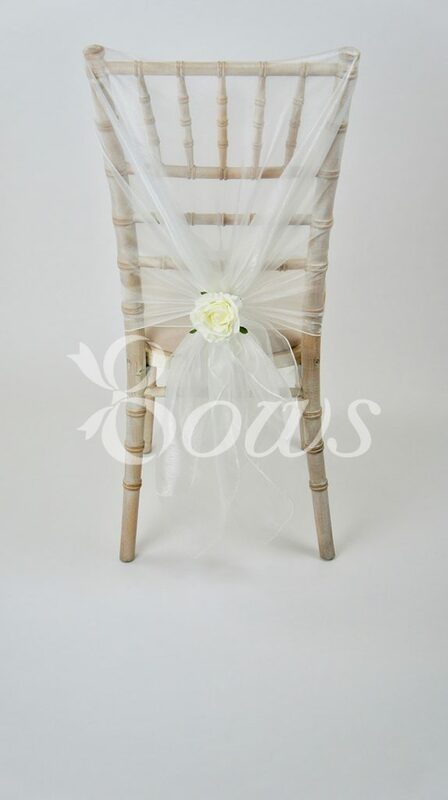 At Bows, our Naked Chairs offer a wide range of design and fabric styles to suit everyone. 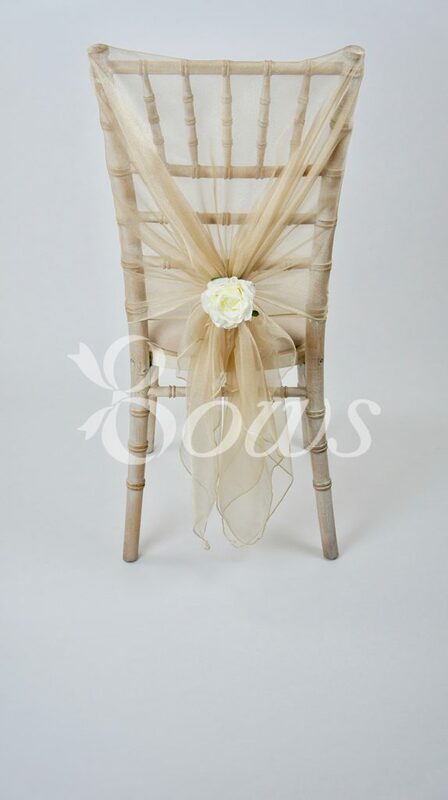 From Orgnanza to hessian, we use only the finest quality materials and the freshest styles and colours. 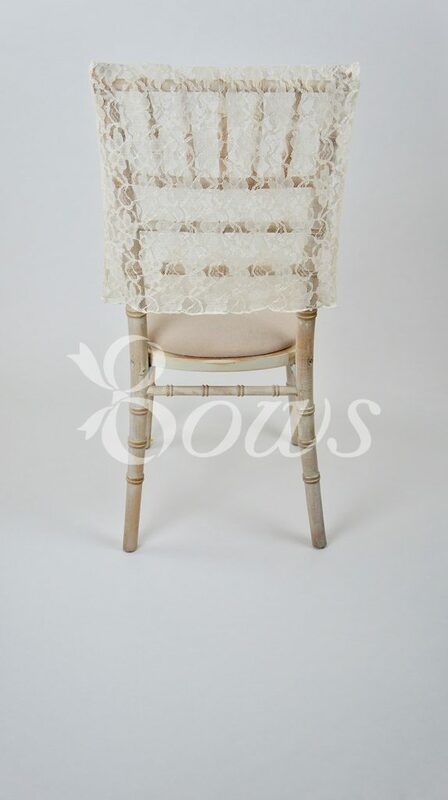 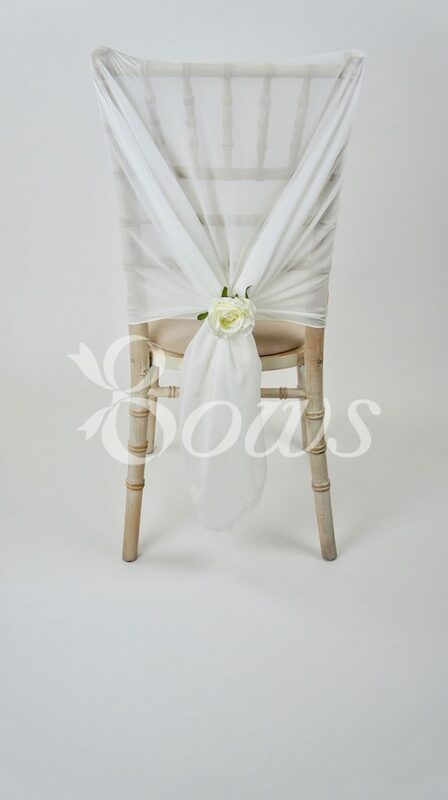 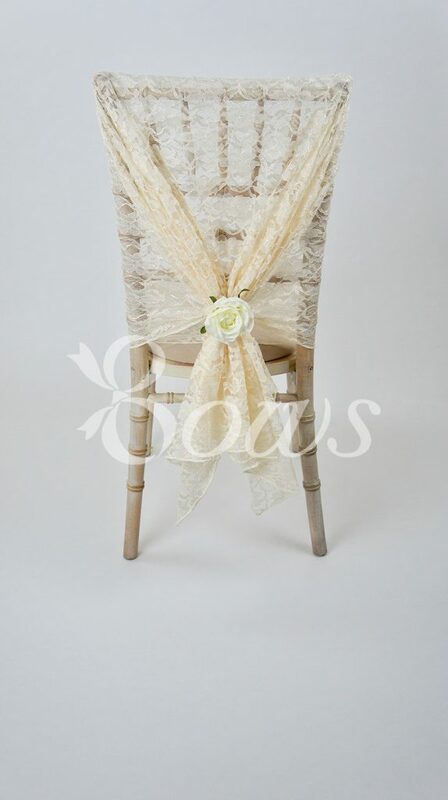 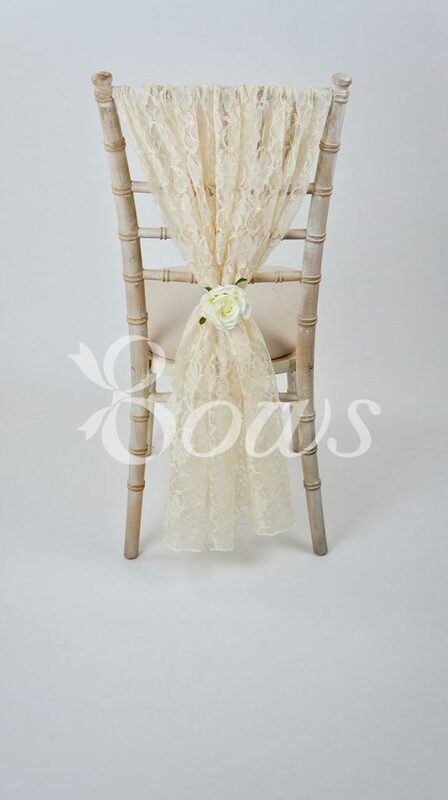 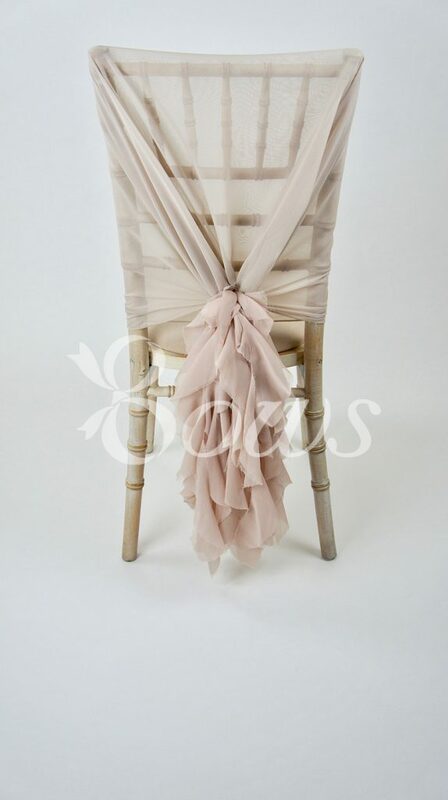 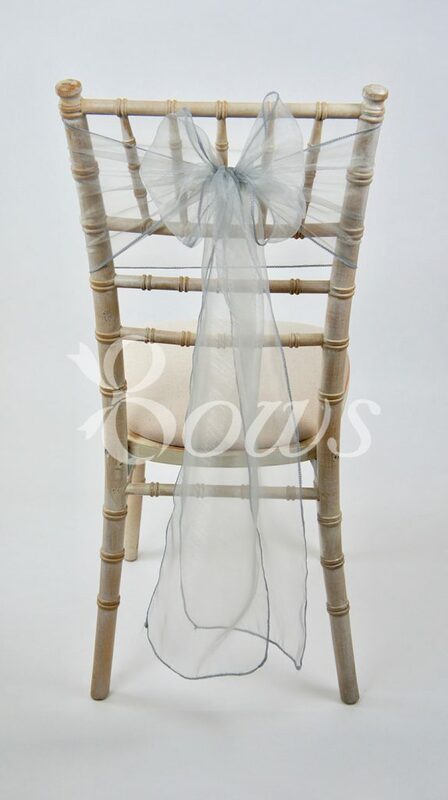 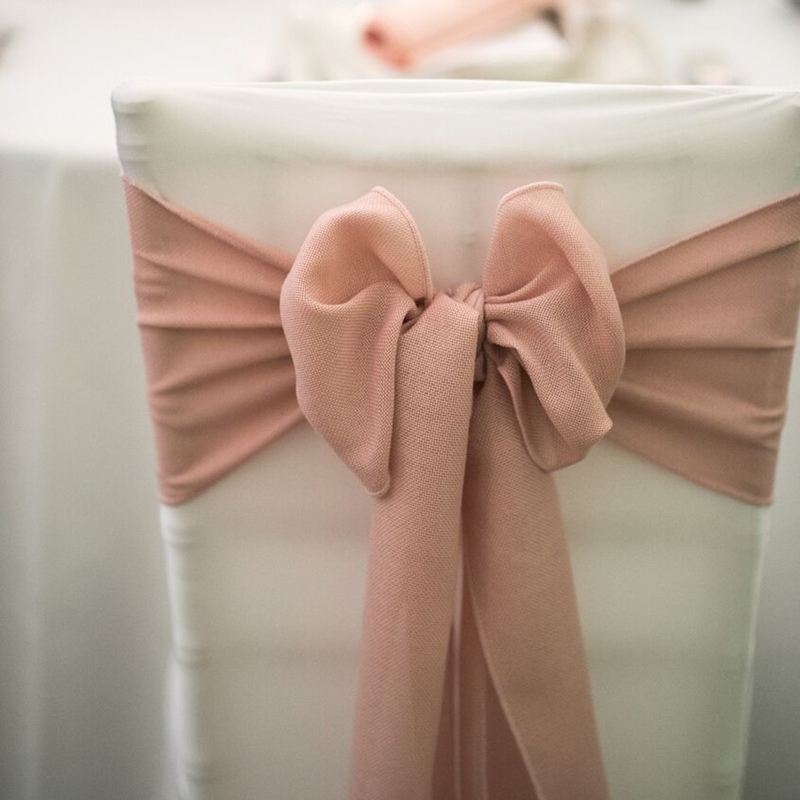 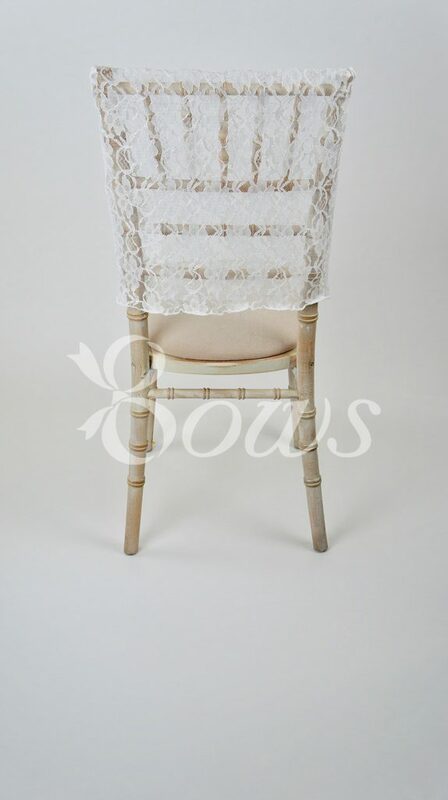 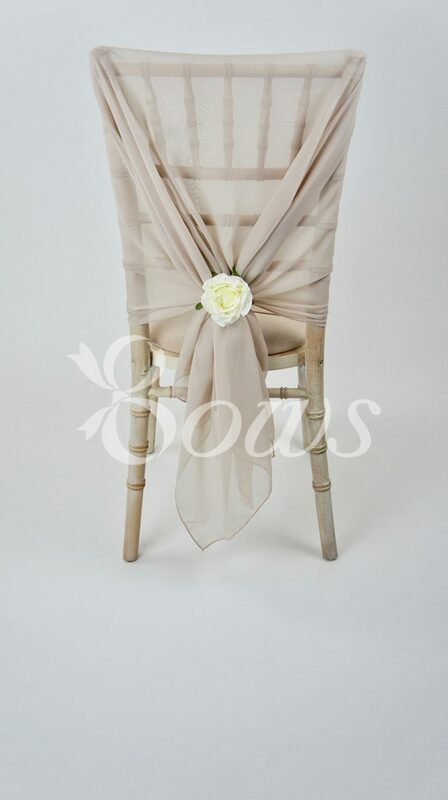 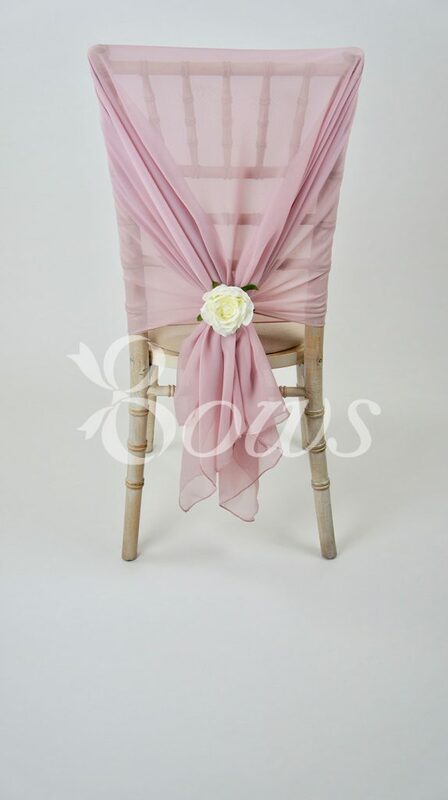 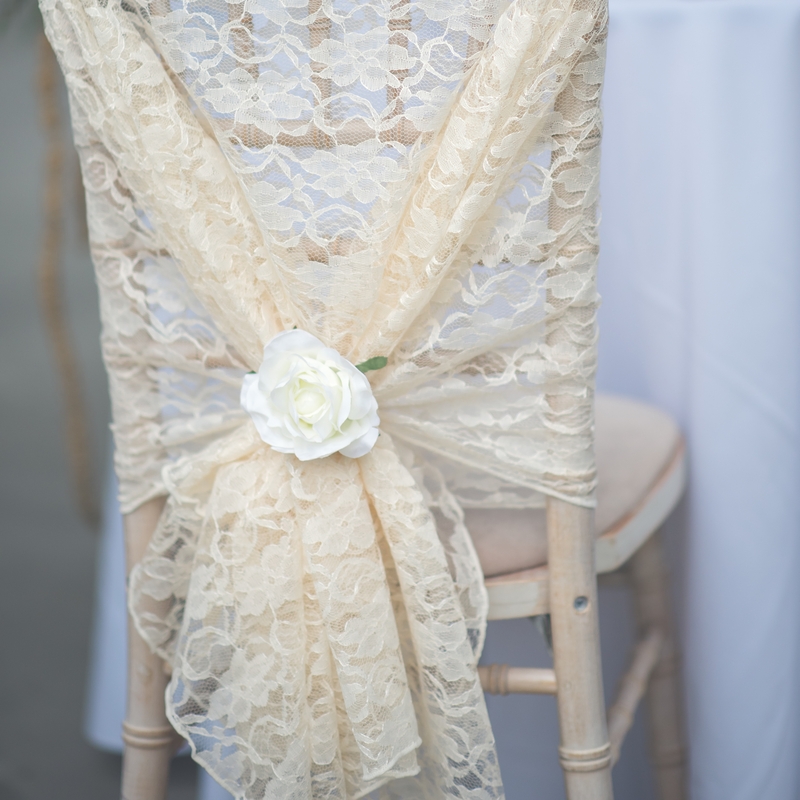 Hayne House has Limewash Chiavari chairs which can be kept on view and enhanced with beautiful fabrics to suit your chosen colour scheme for your wedding. 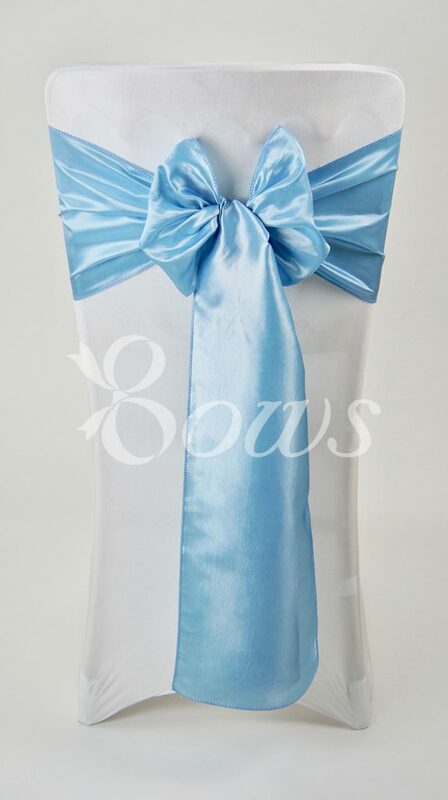 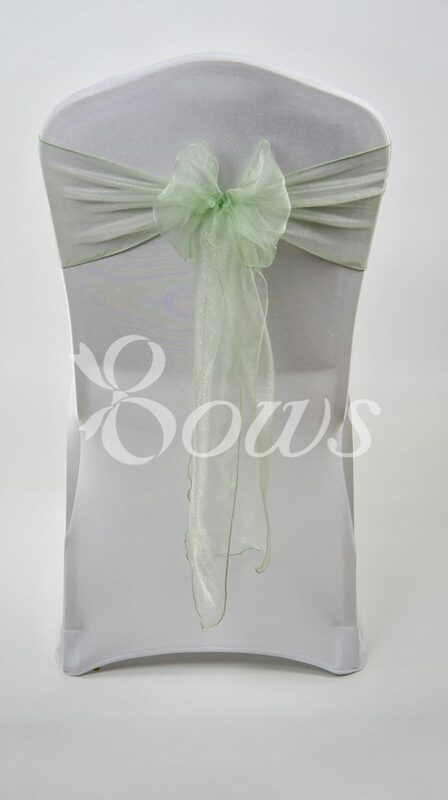 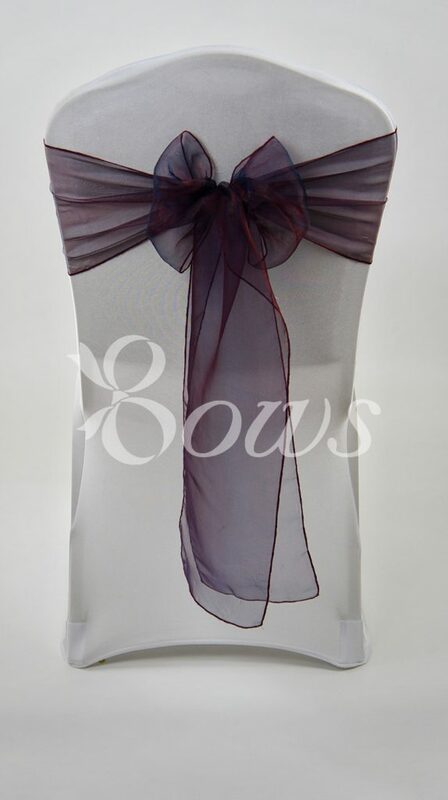 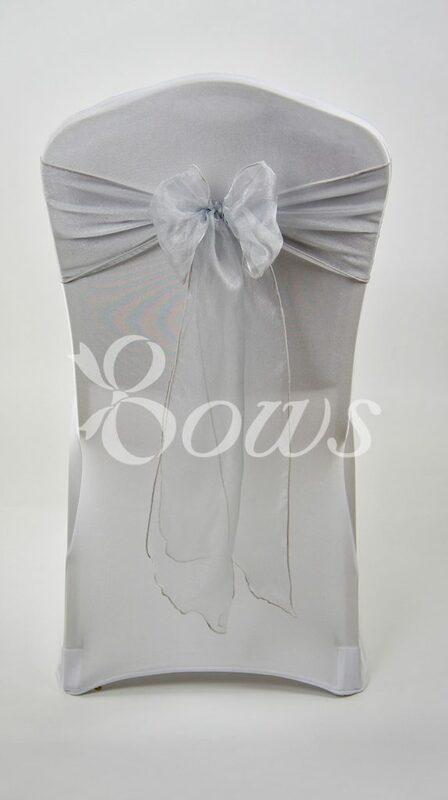 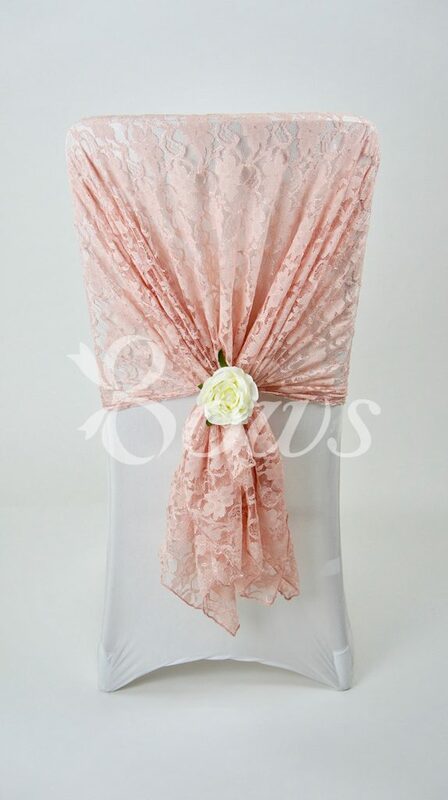 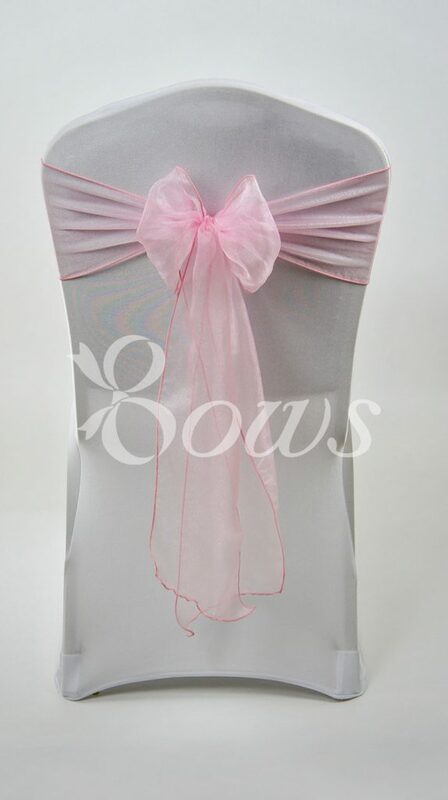 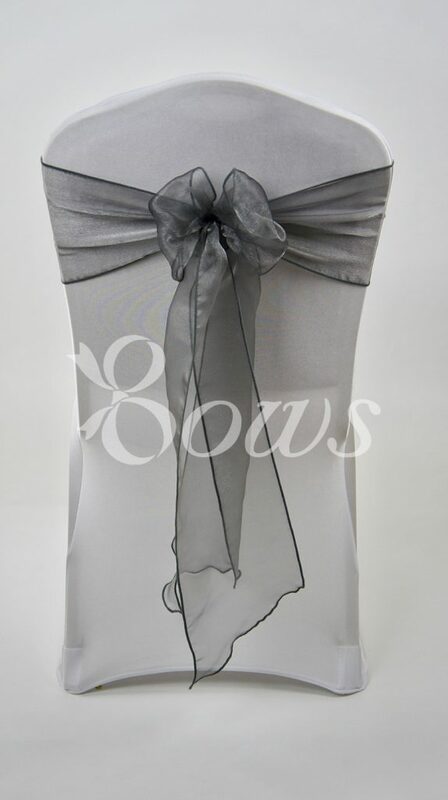 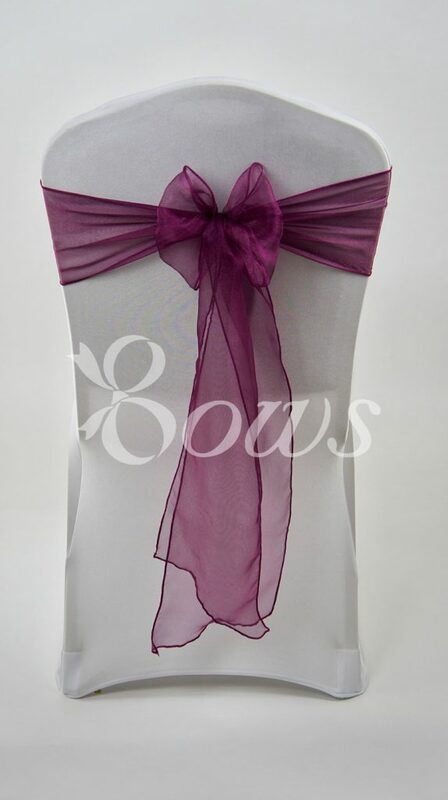 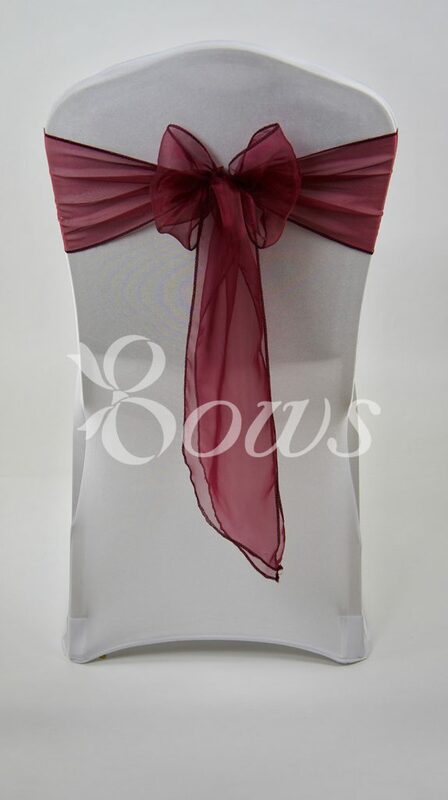 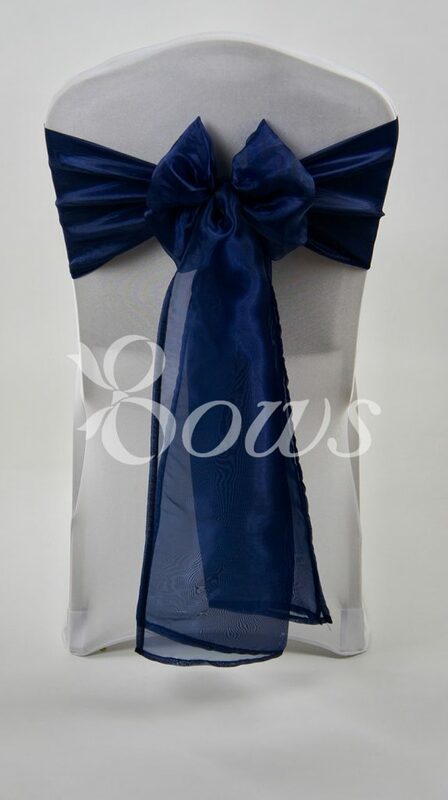 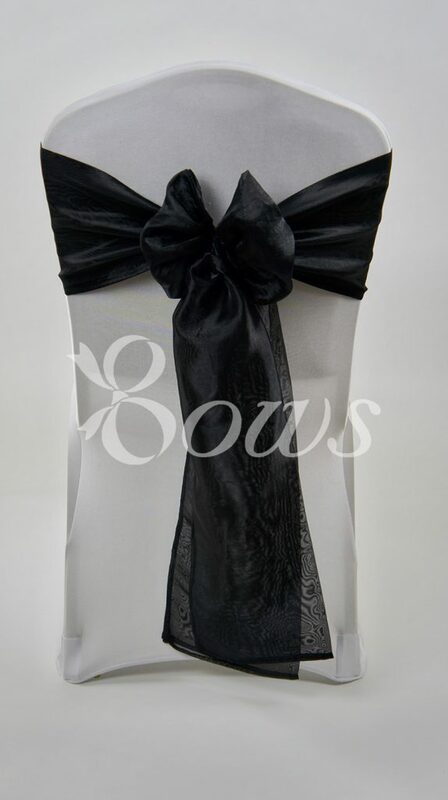 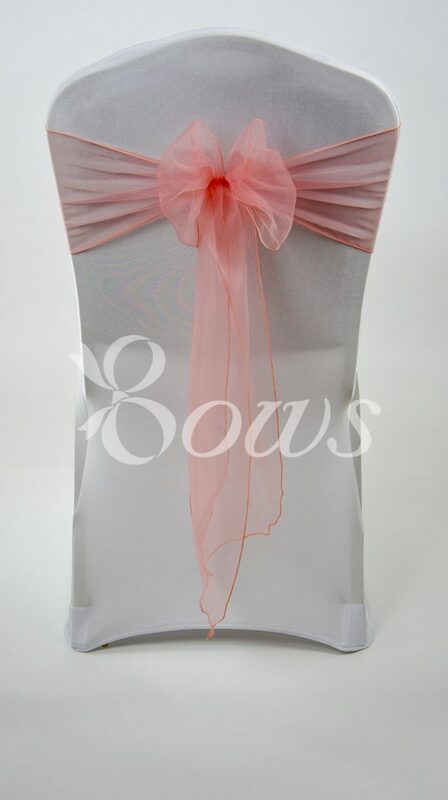 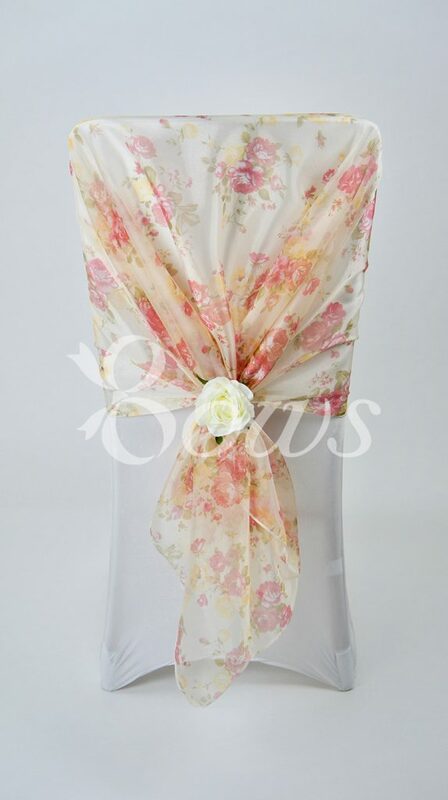 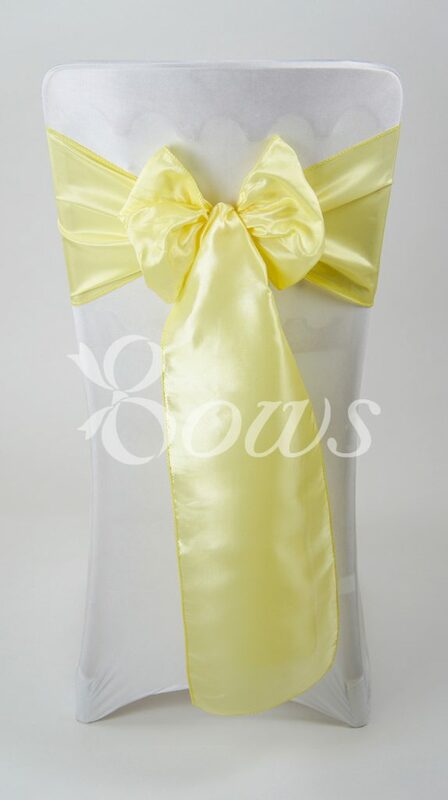 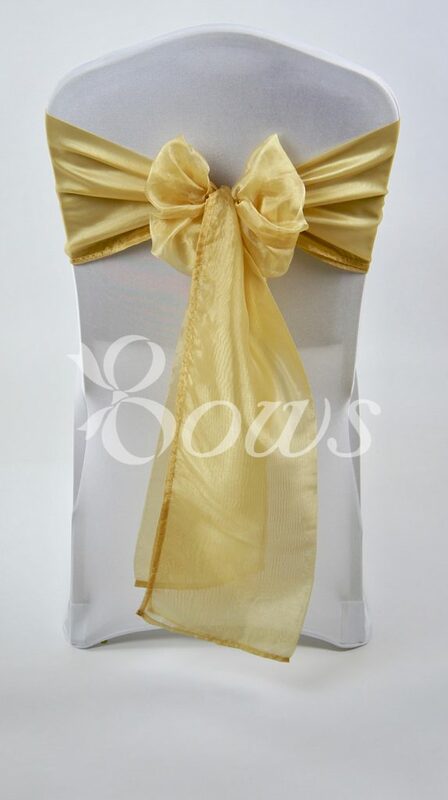 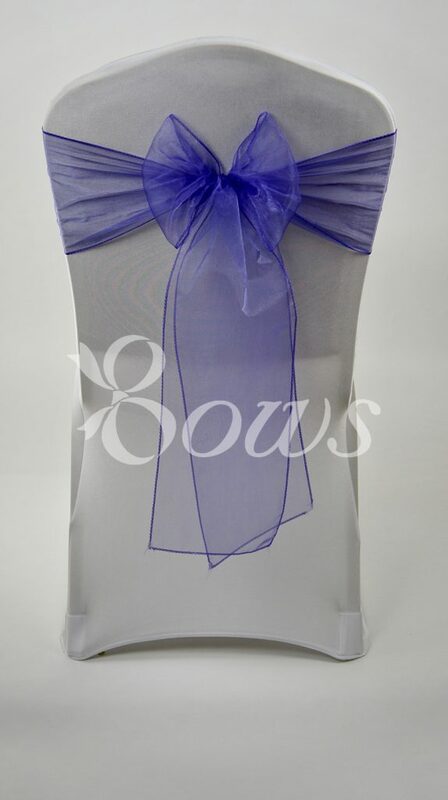 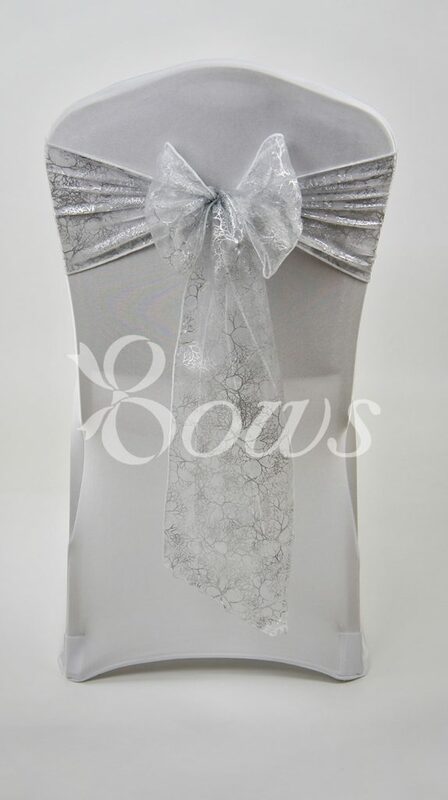 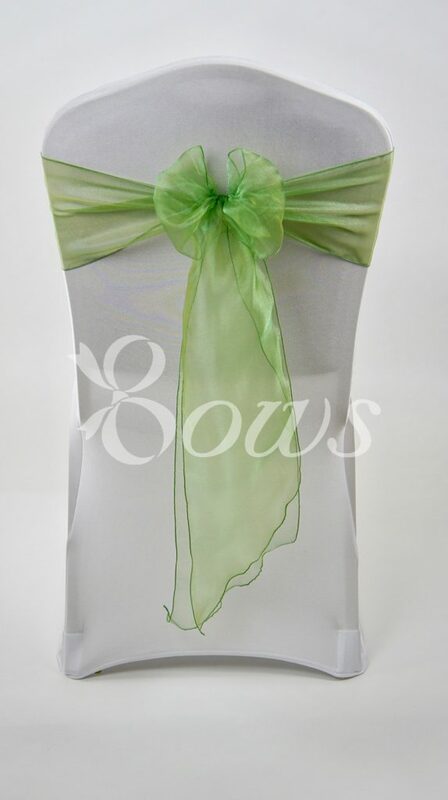 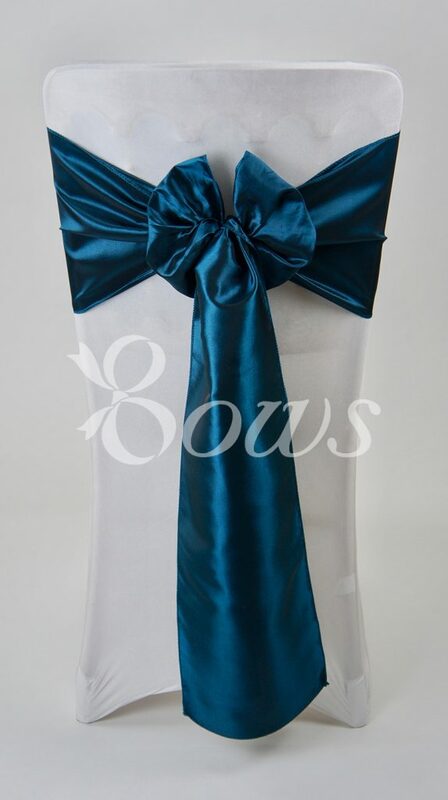 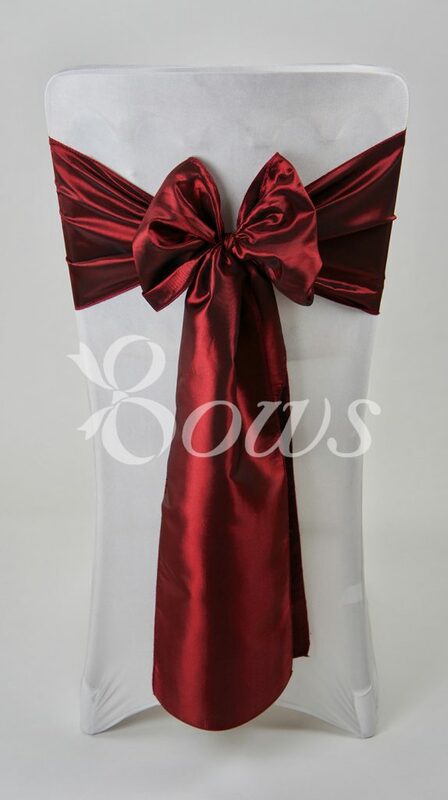 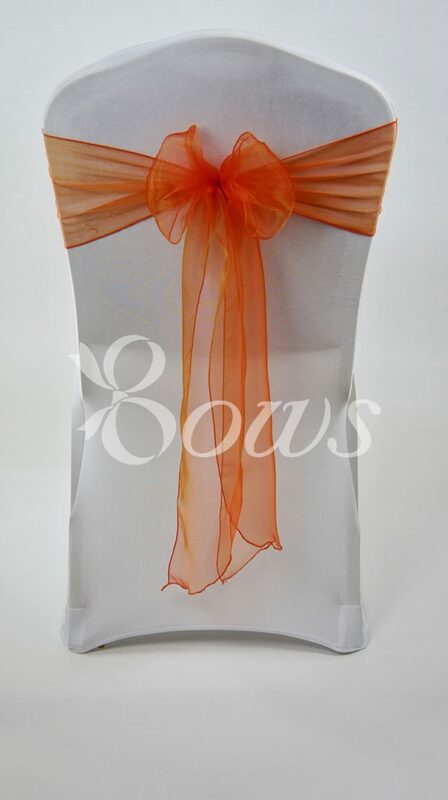 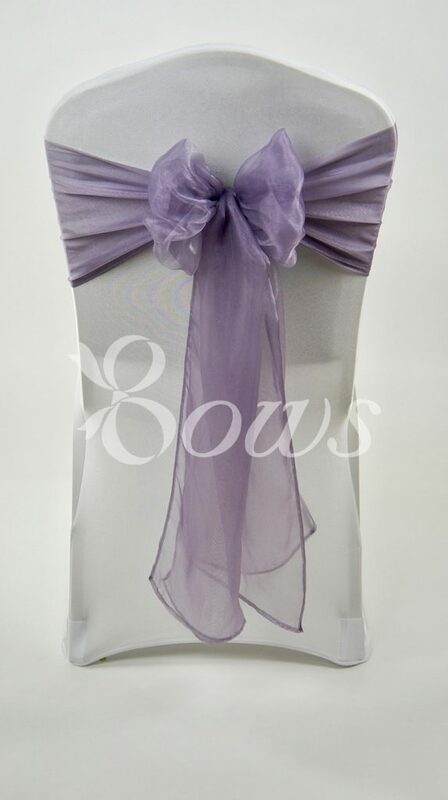 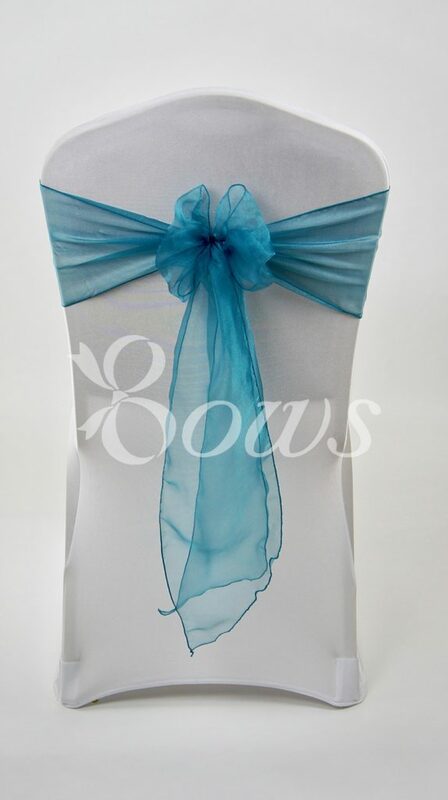 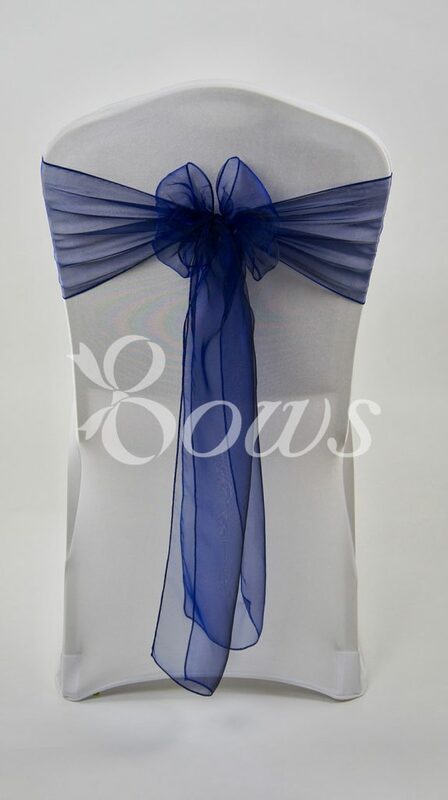 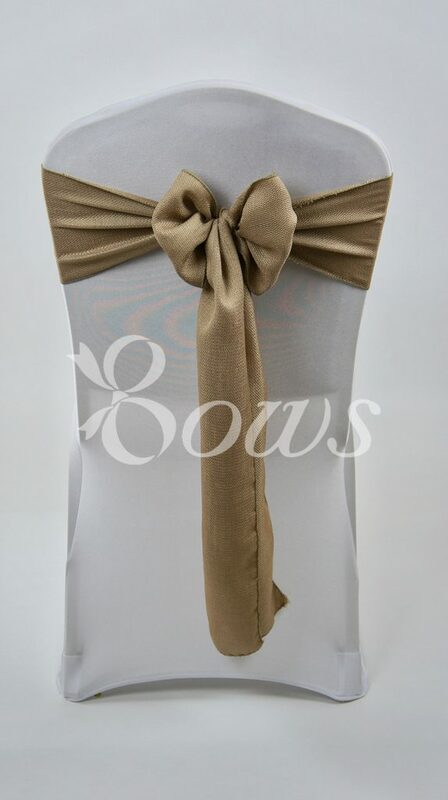 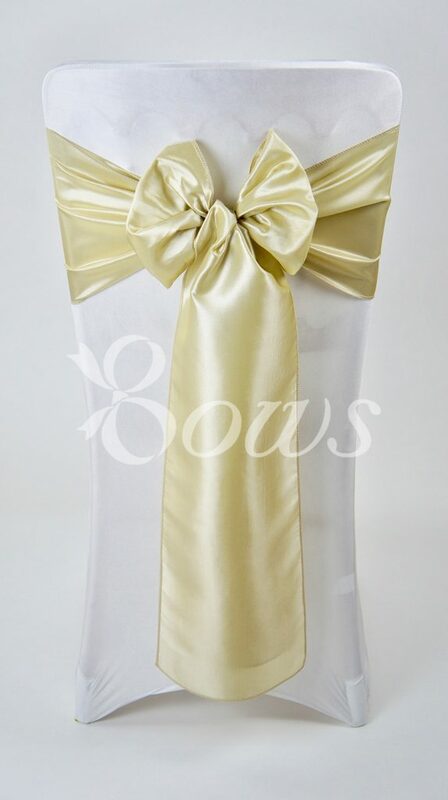 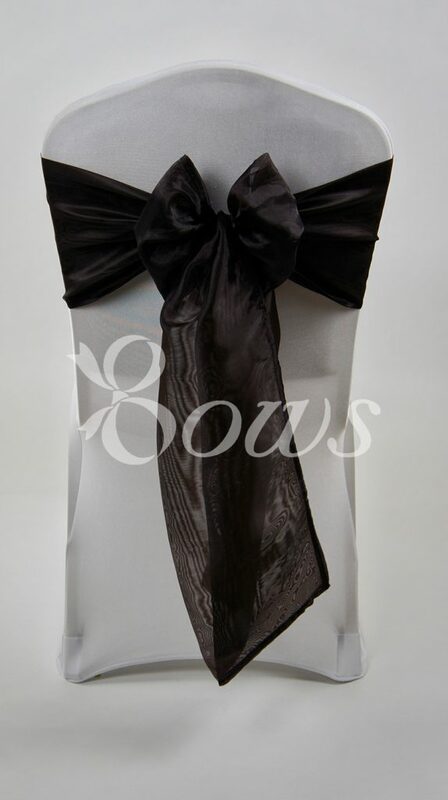 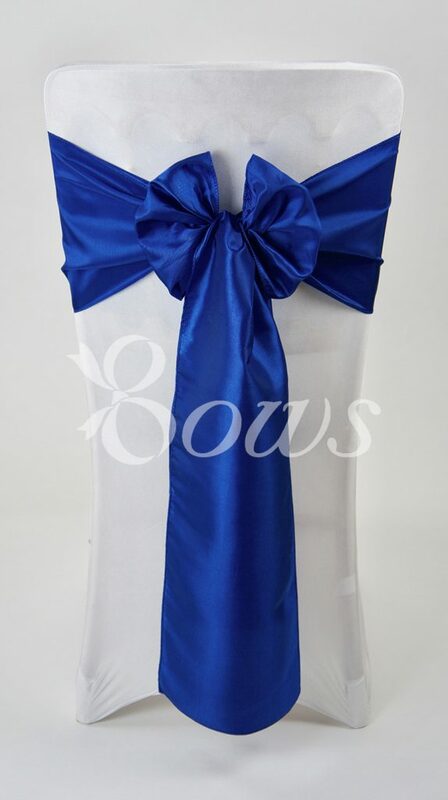 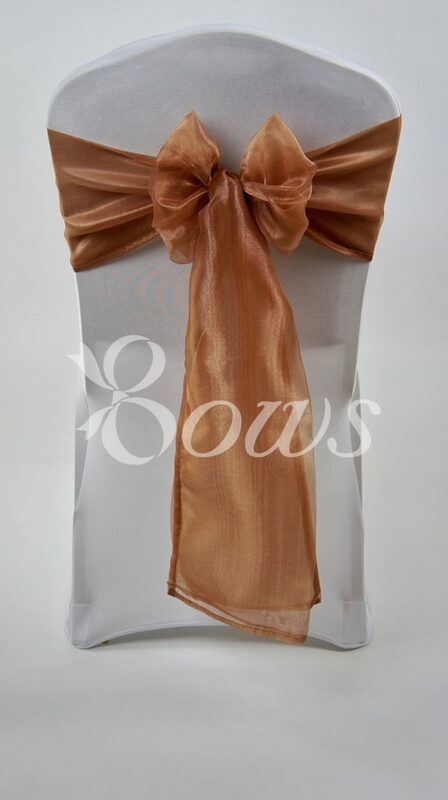 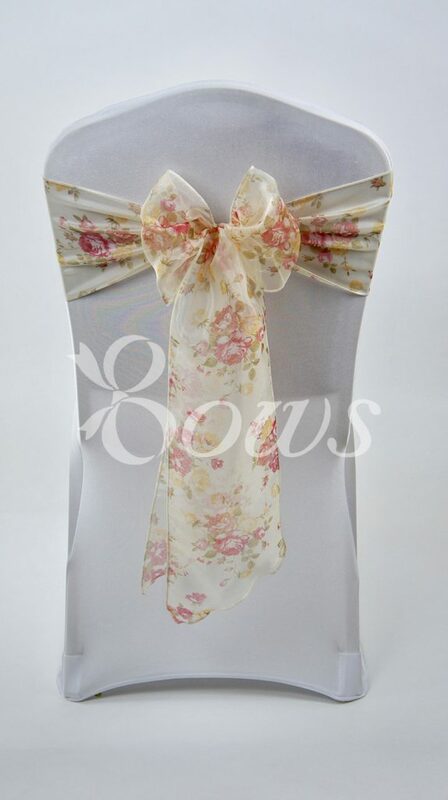 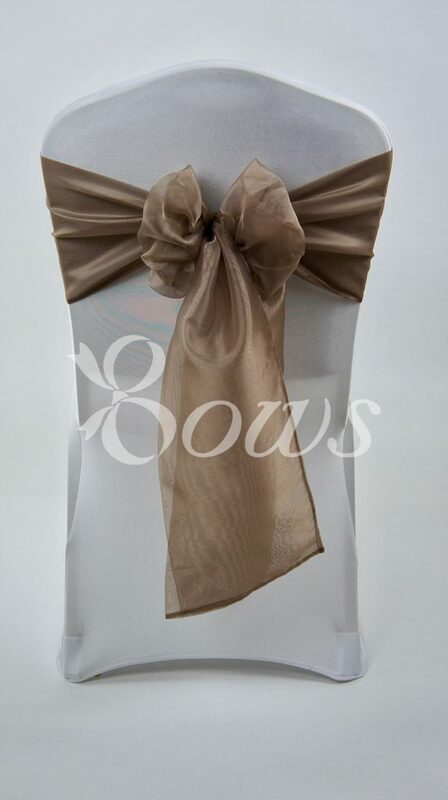 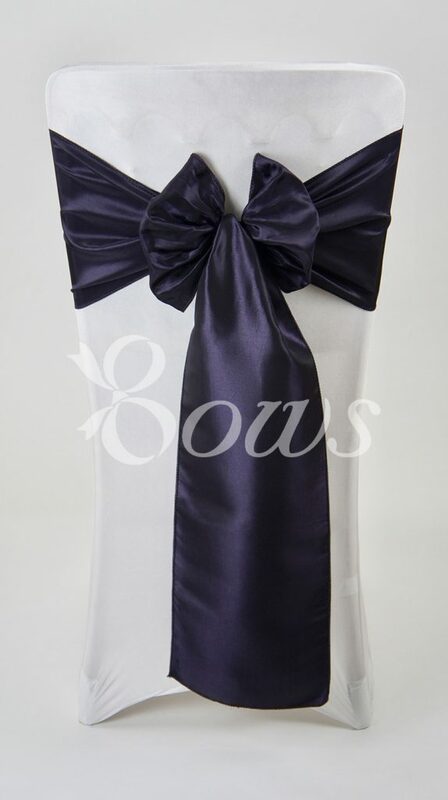 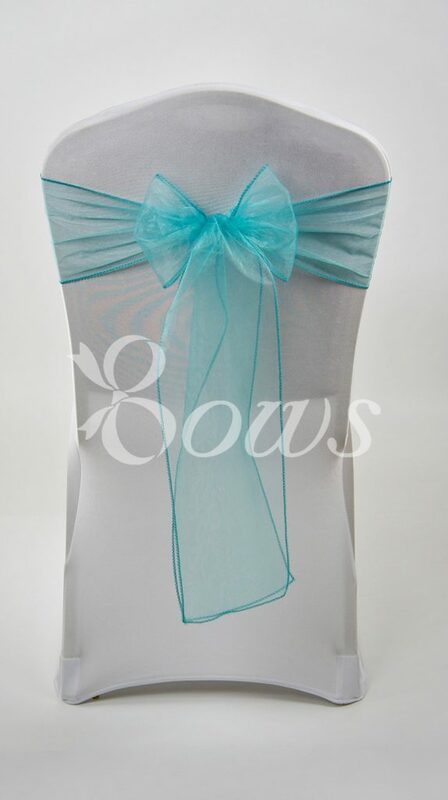 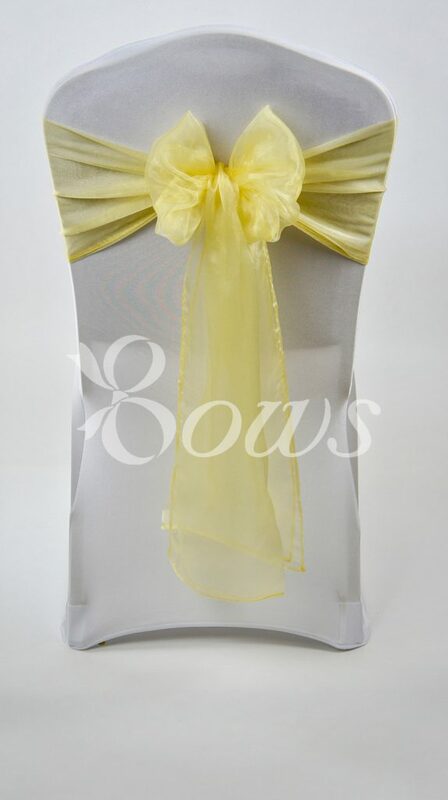 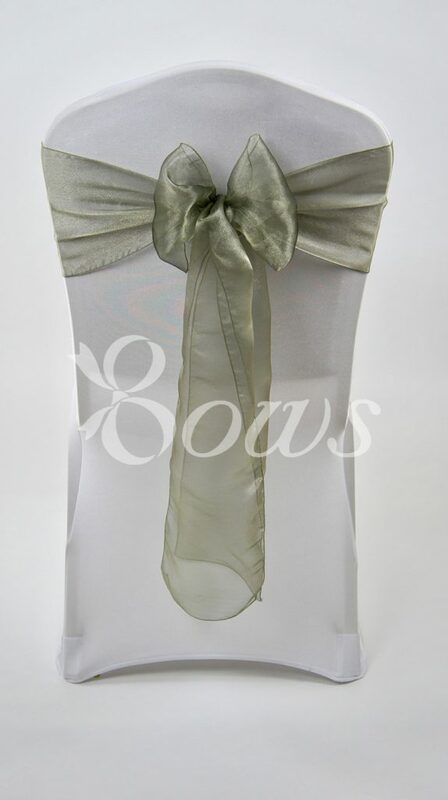 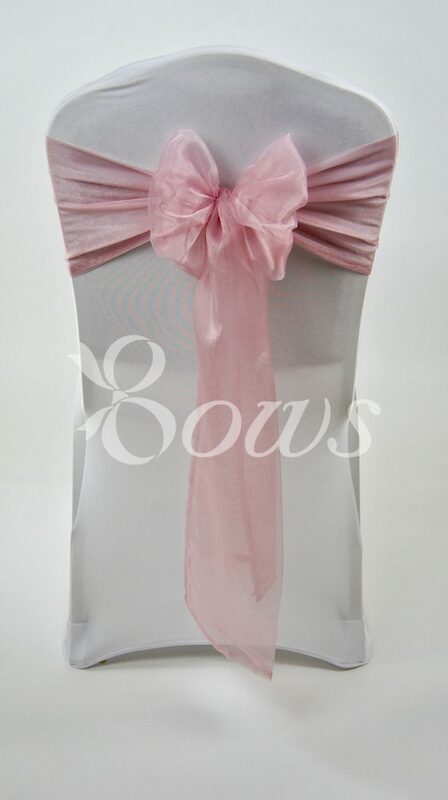 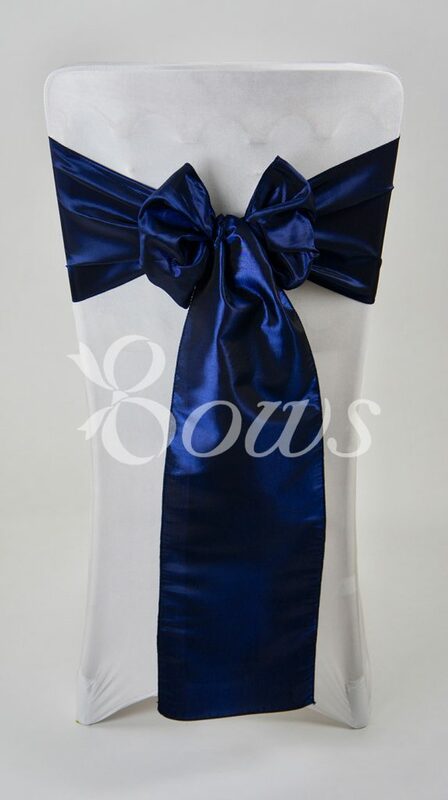 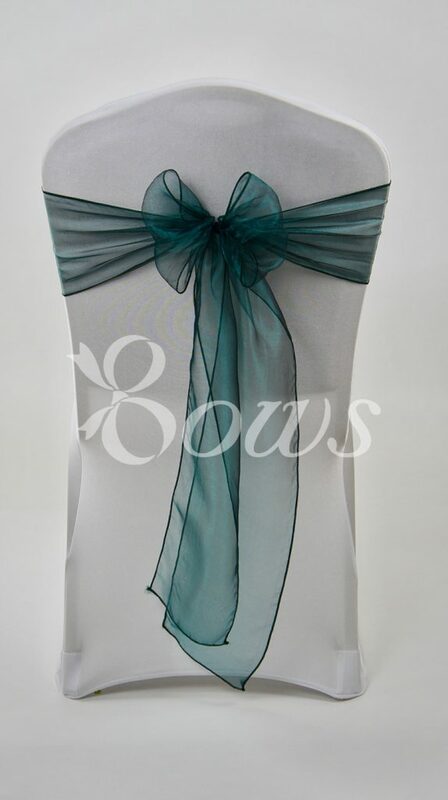 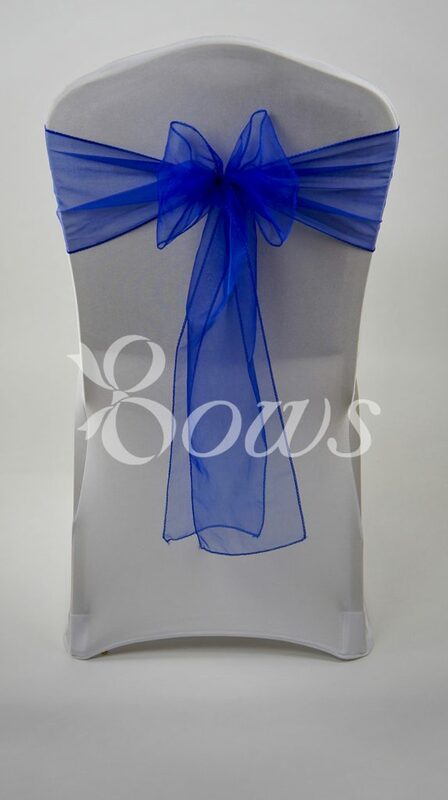 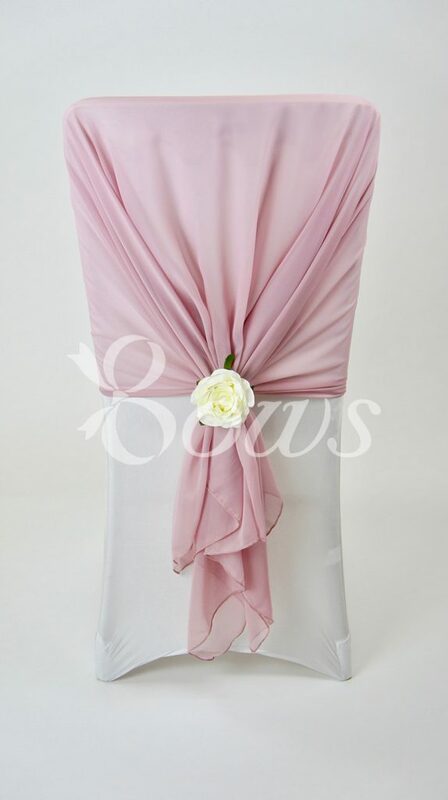 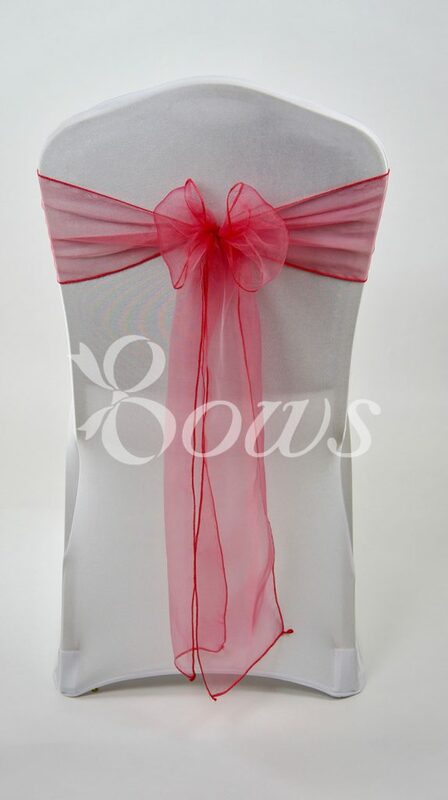 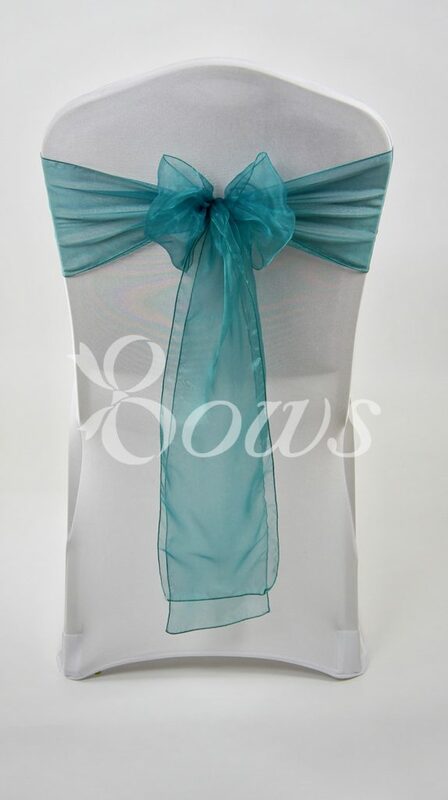 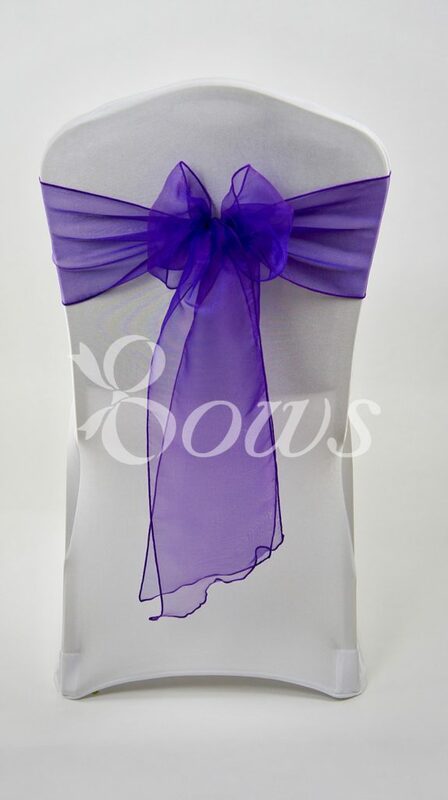 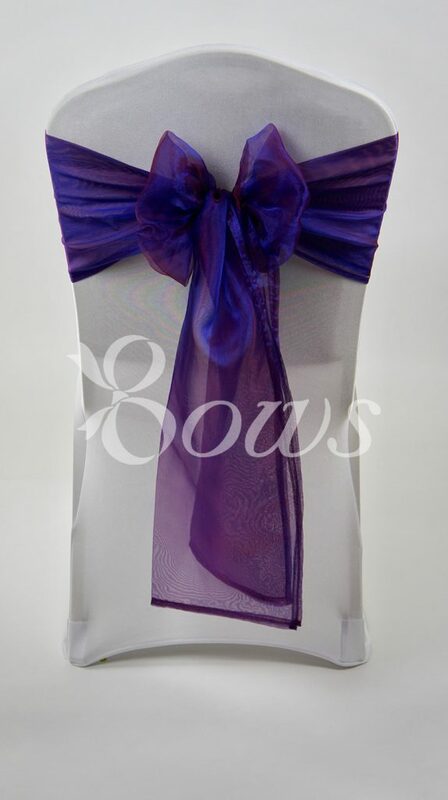 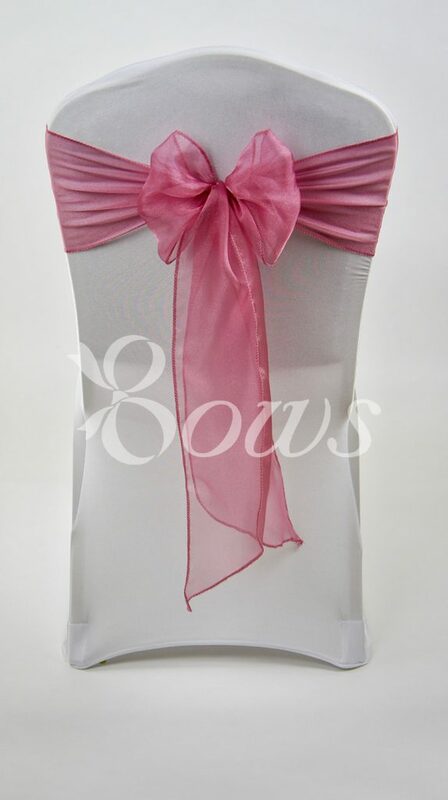 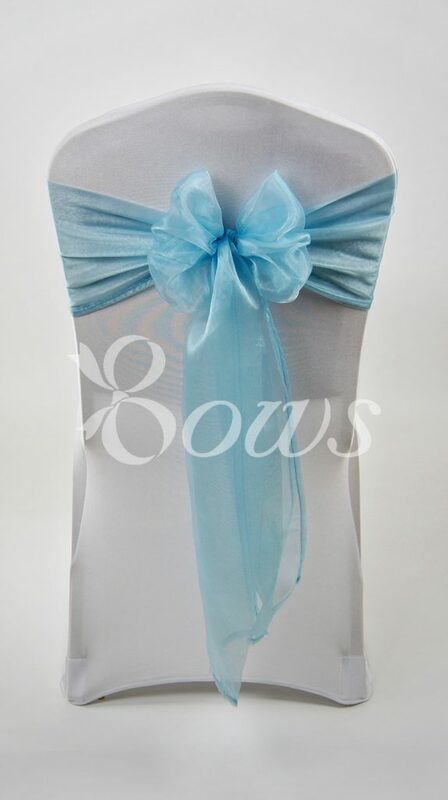 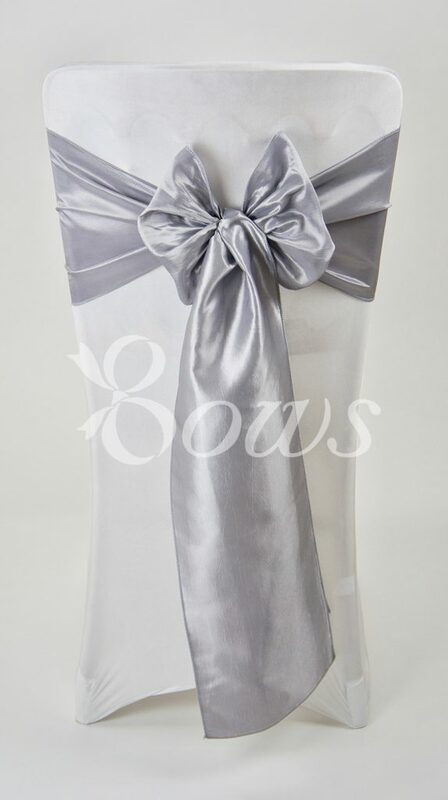 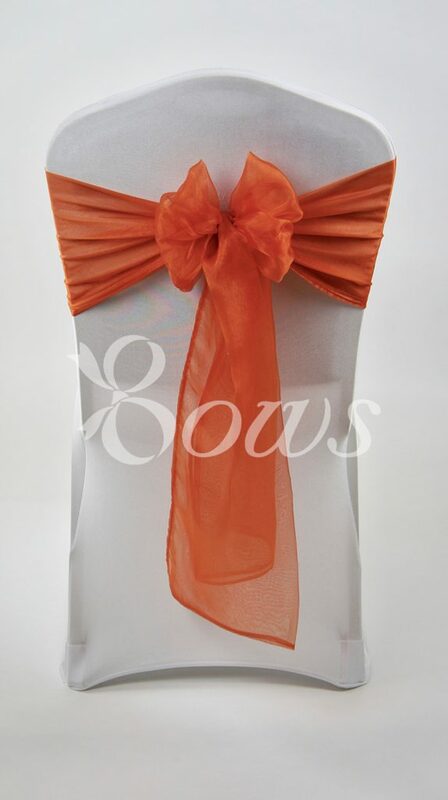 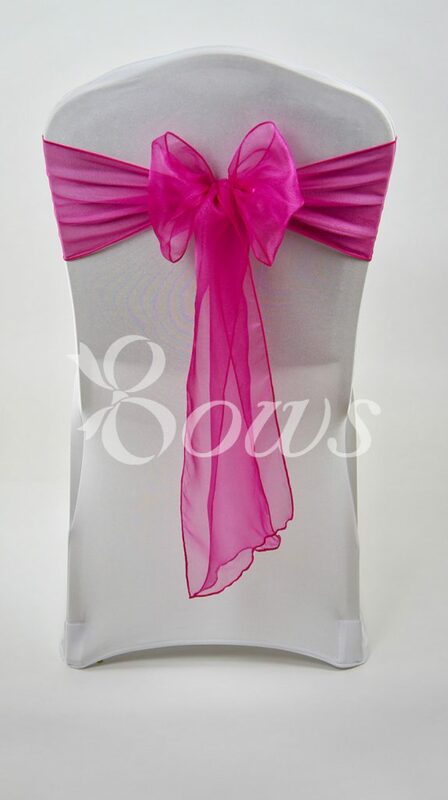 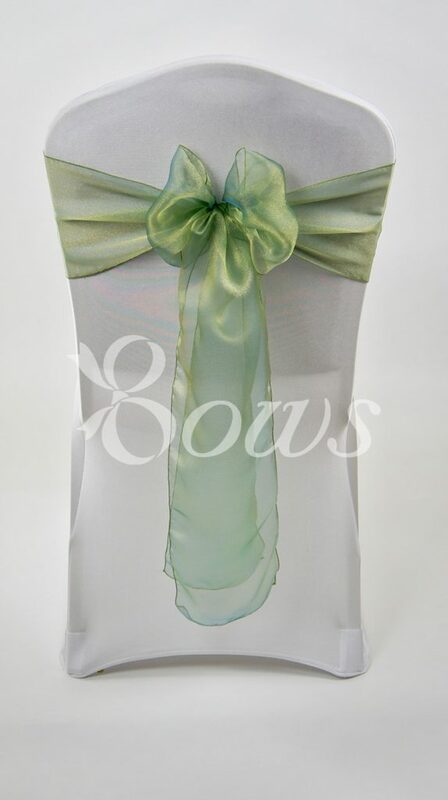 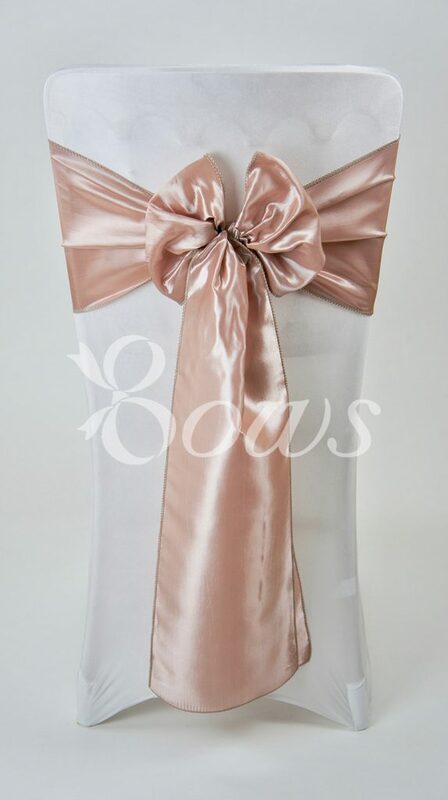 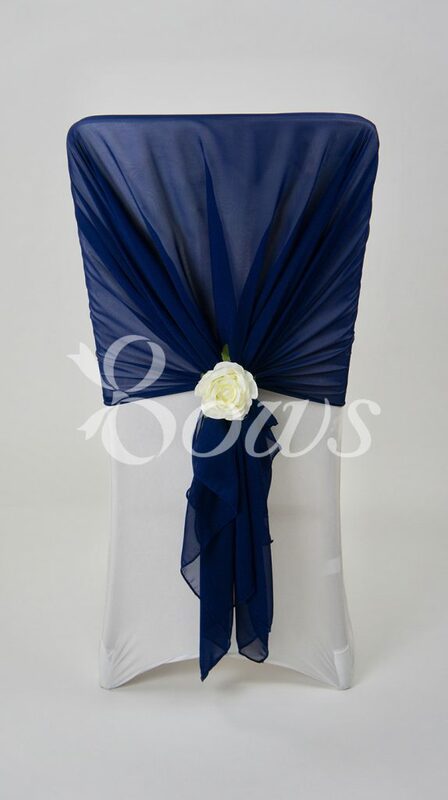 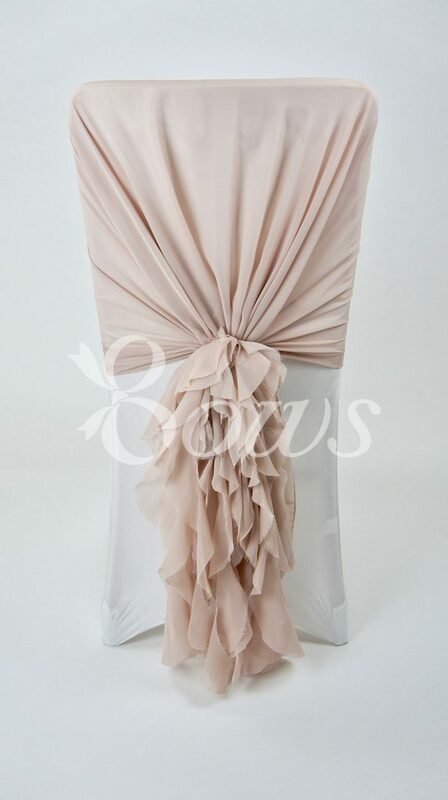 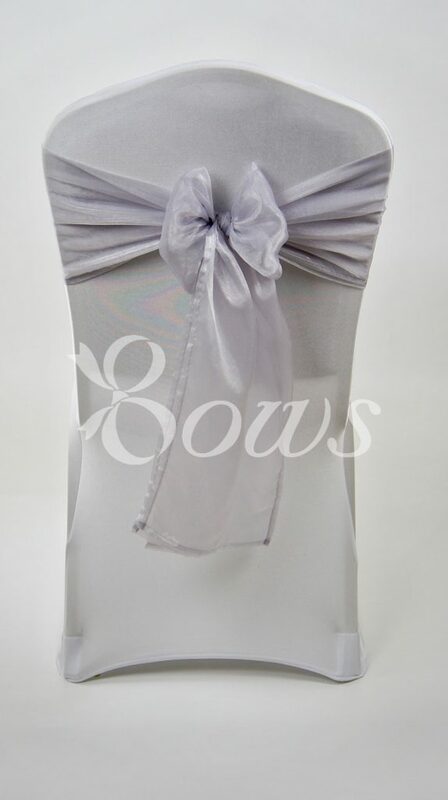 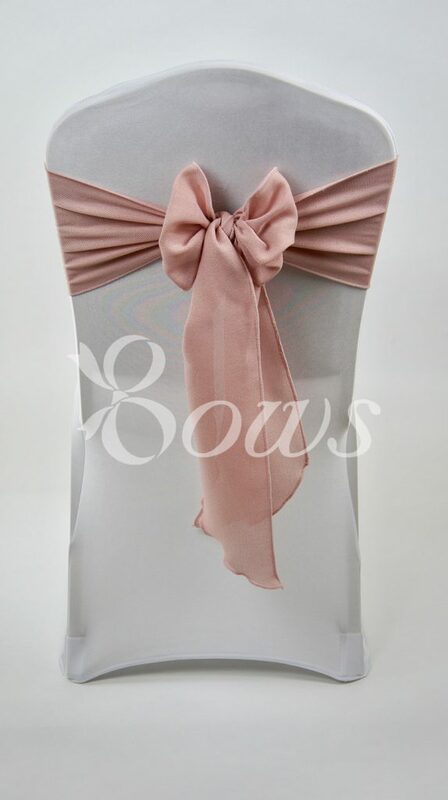 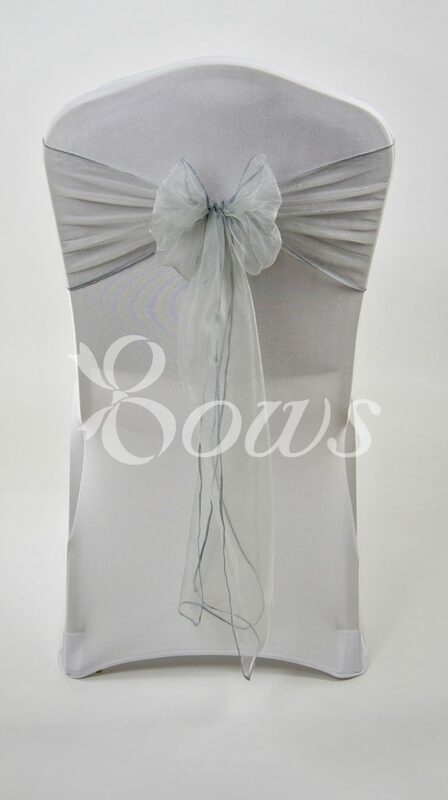 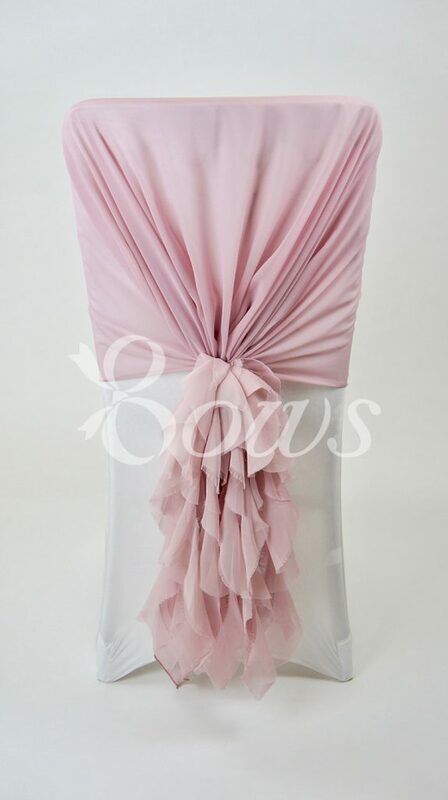 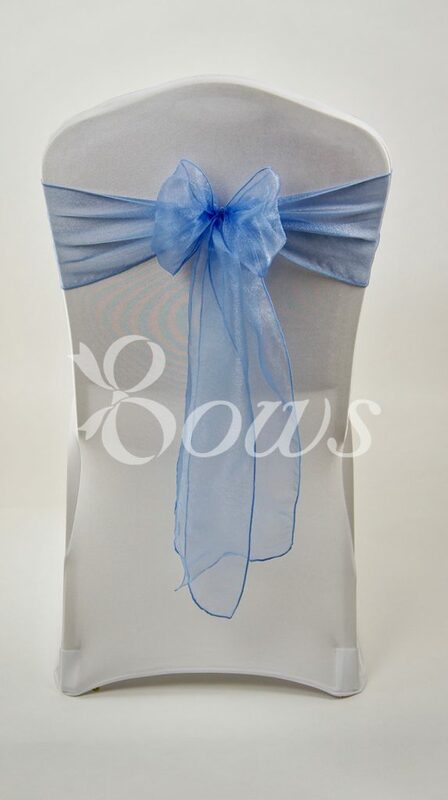 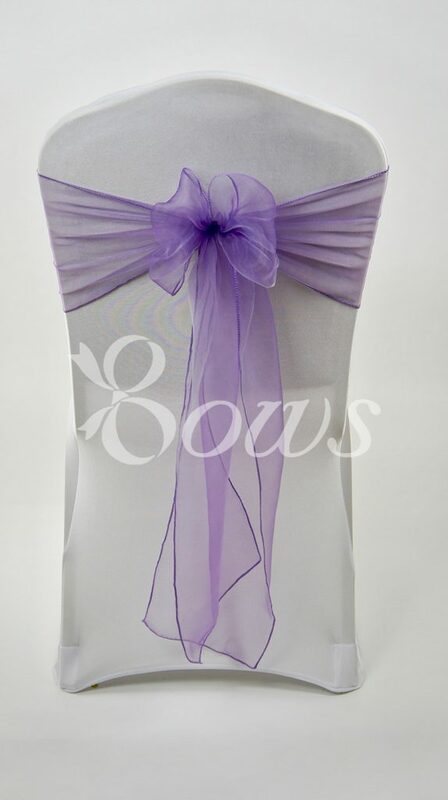 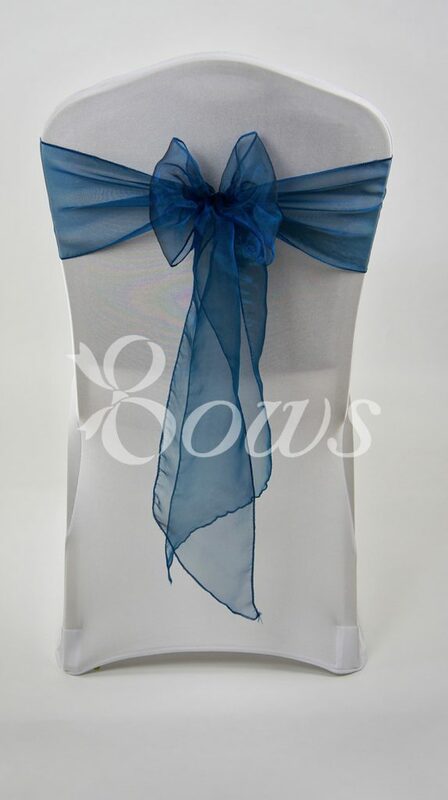 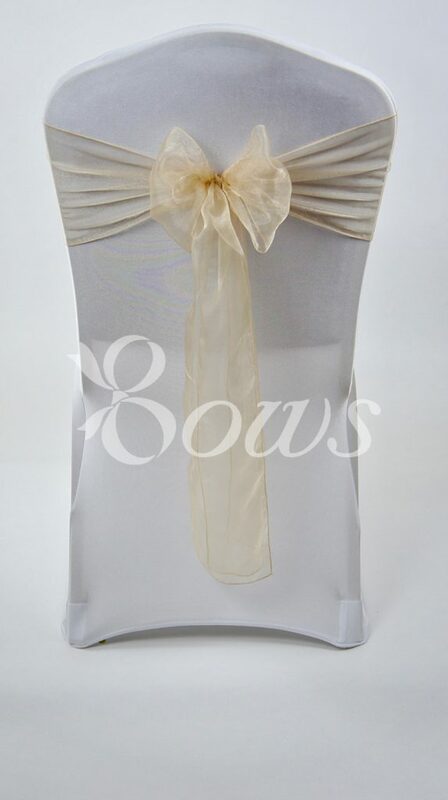 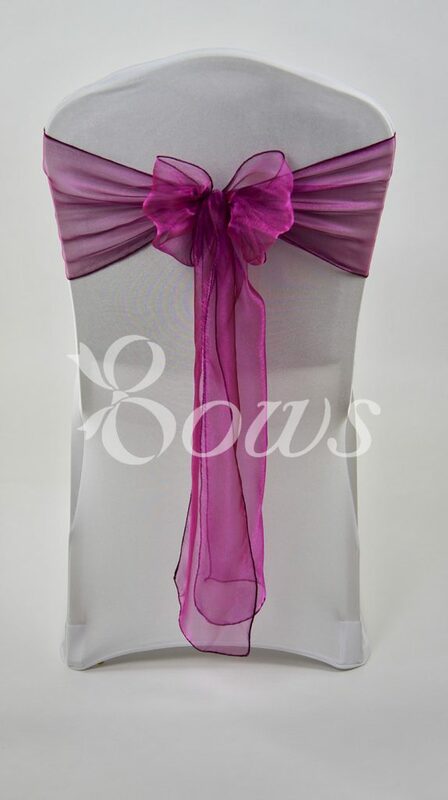 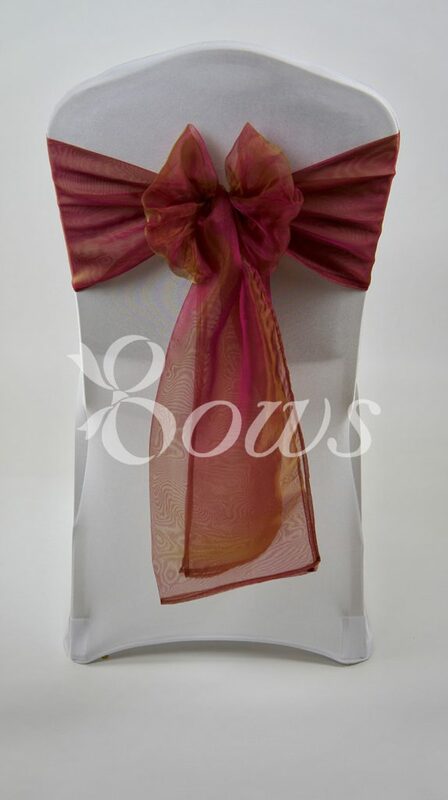 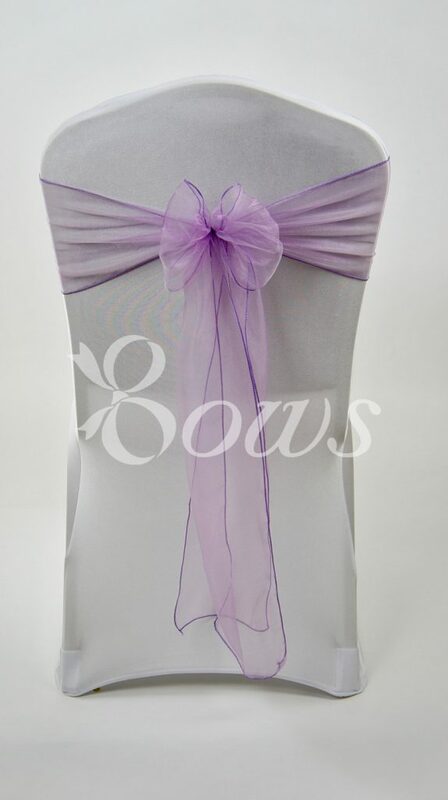 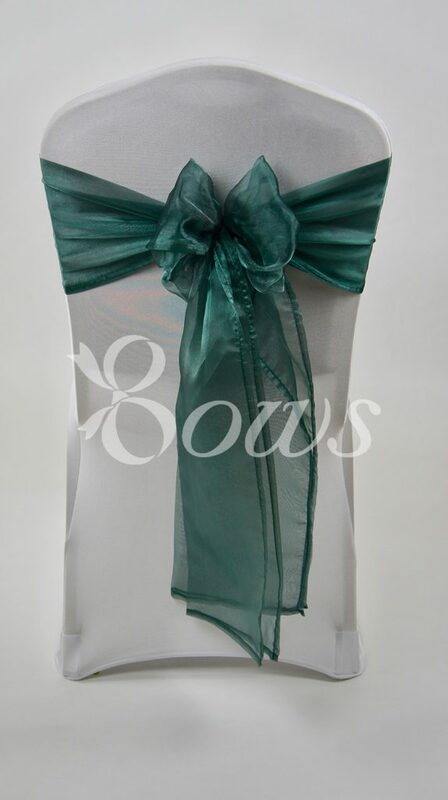 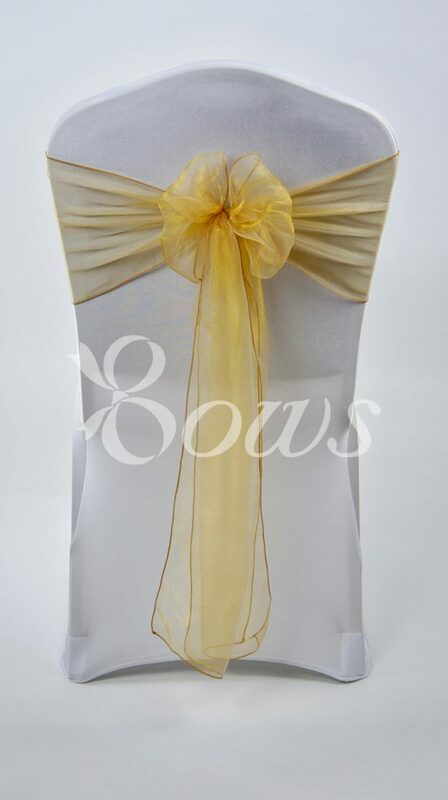 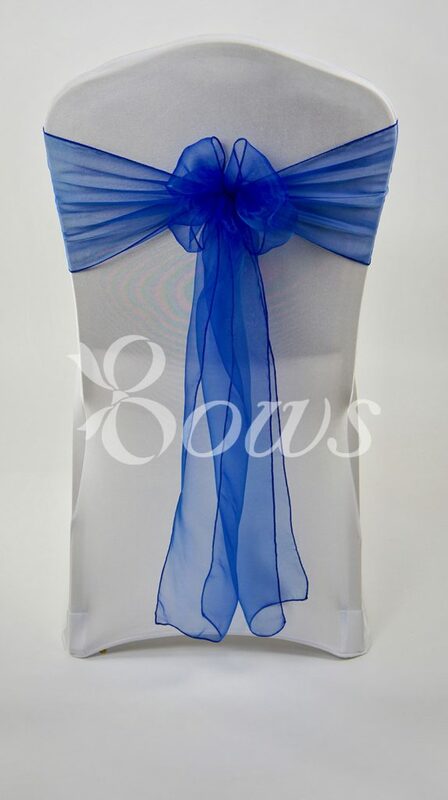 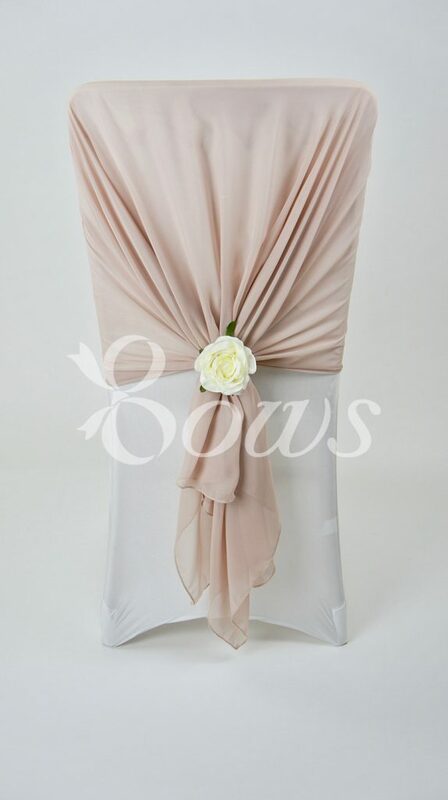 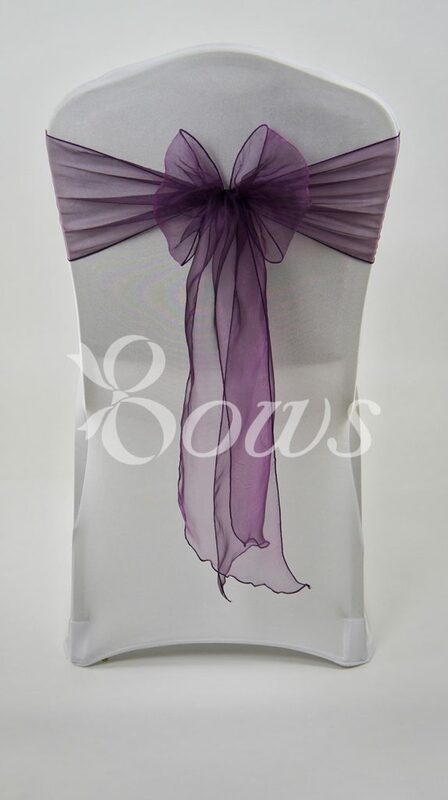 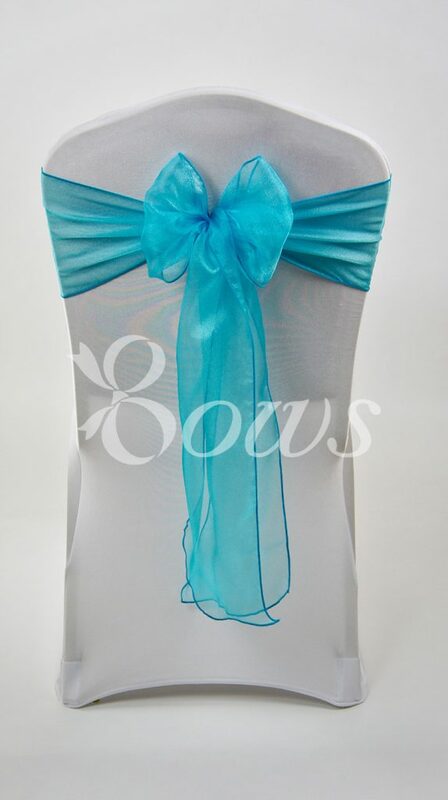 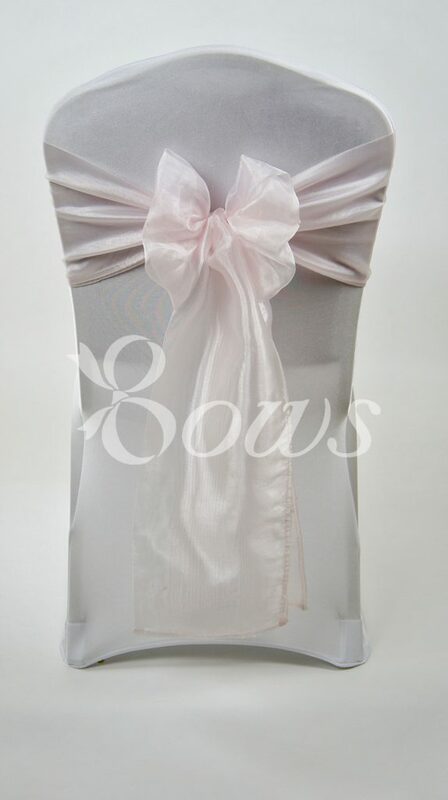 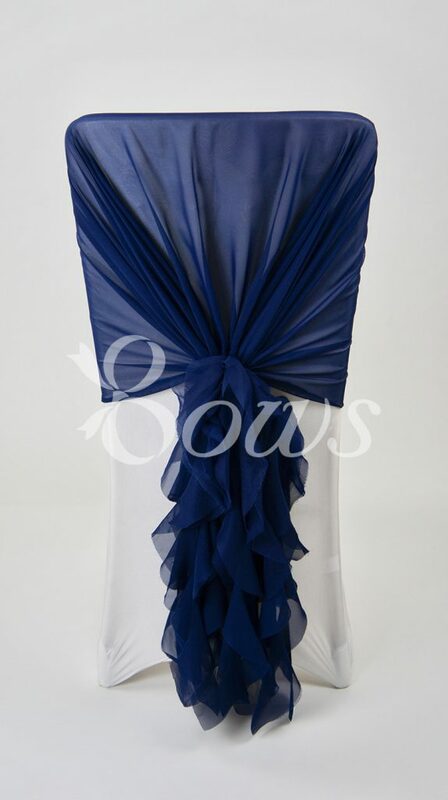 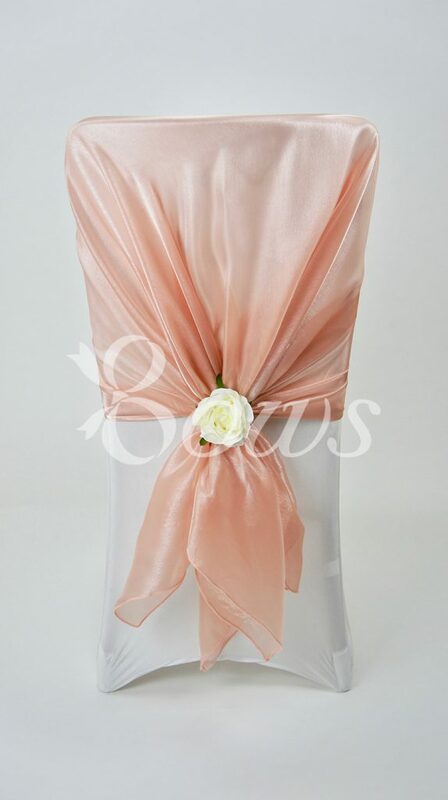 Styled with our range of luxury organza bows through to chiffon hoods the following colours are available to add some colour to your beautiful orangery setting. 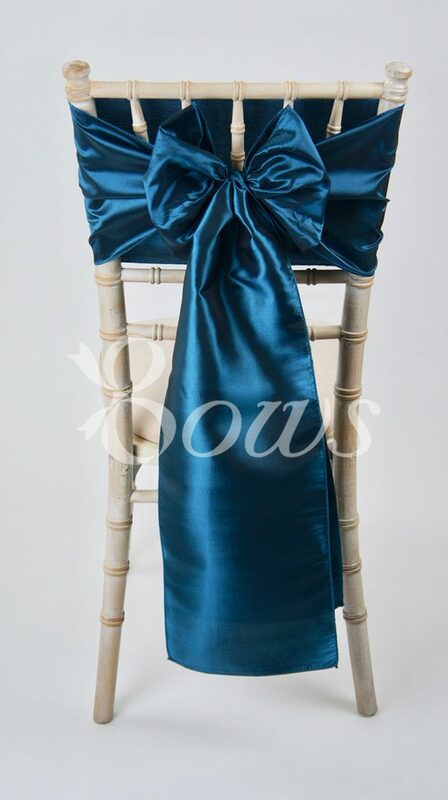 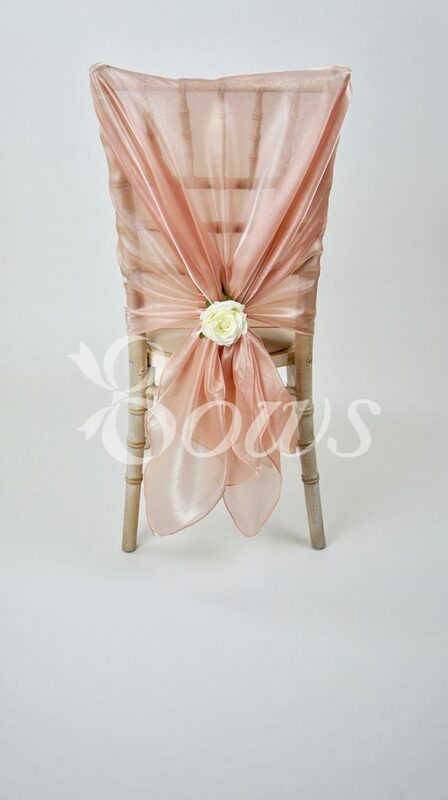 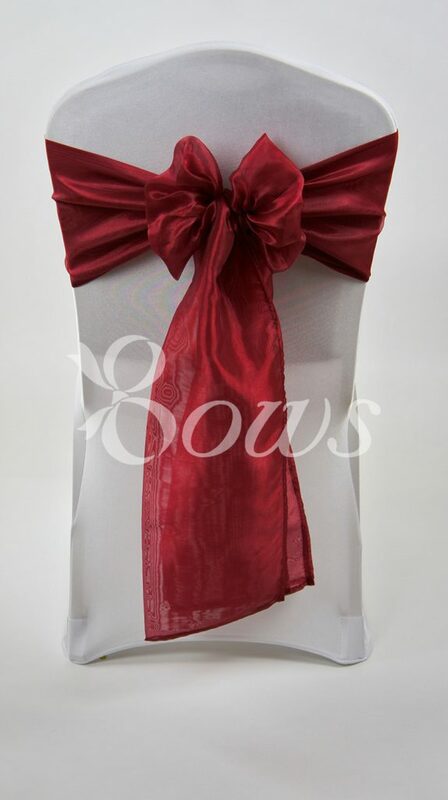 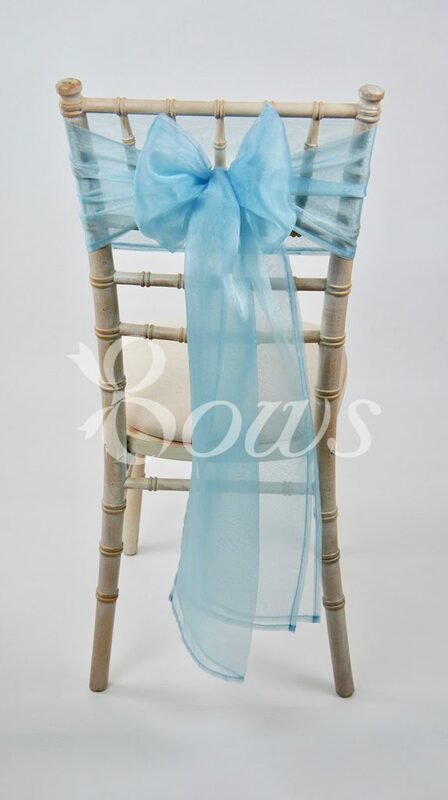 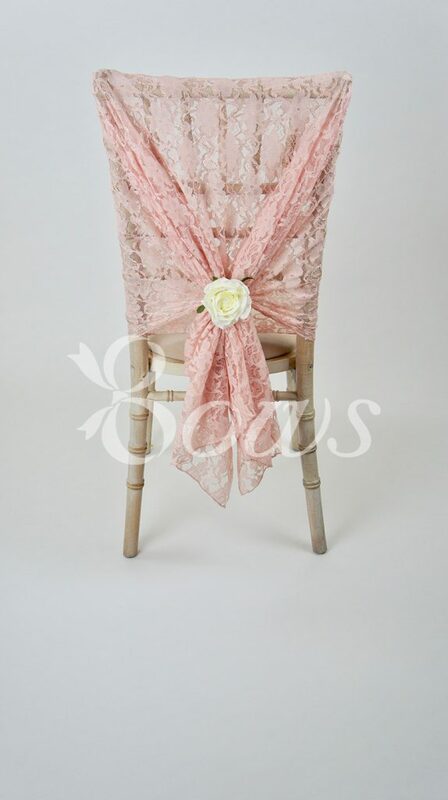 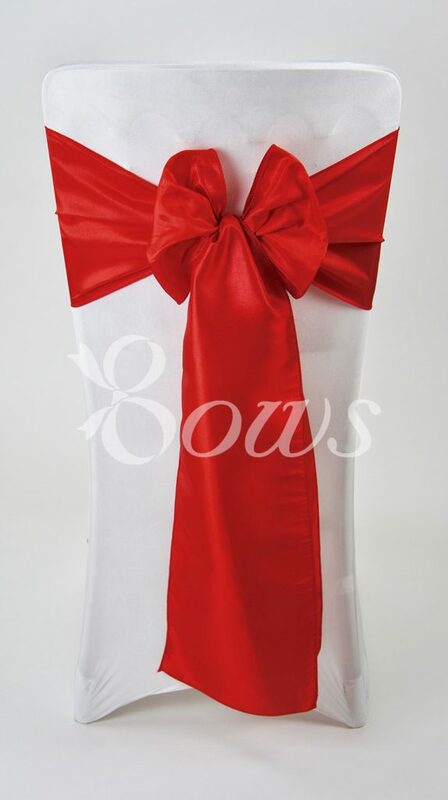 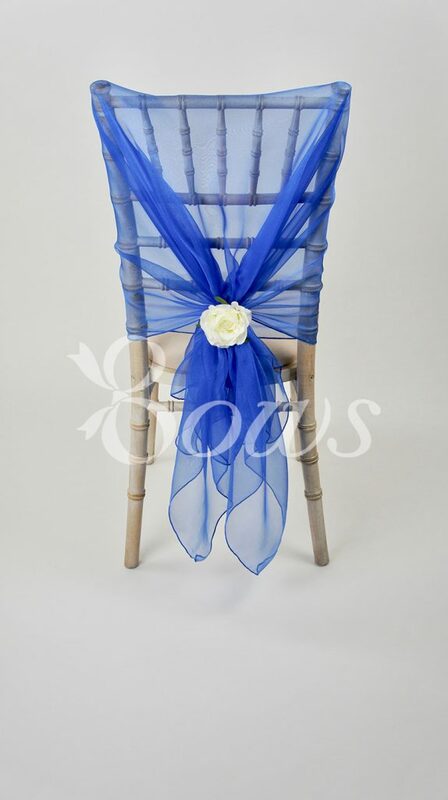 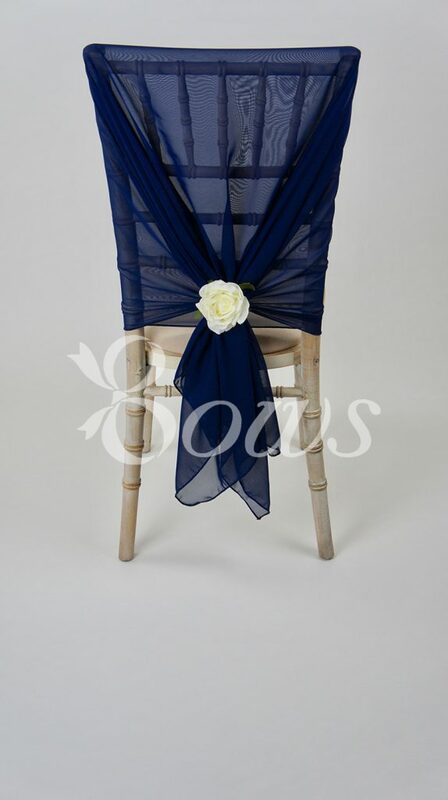 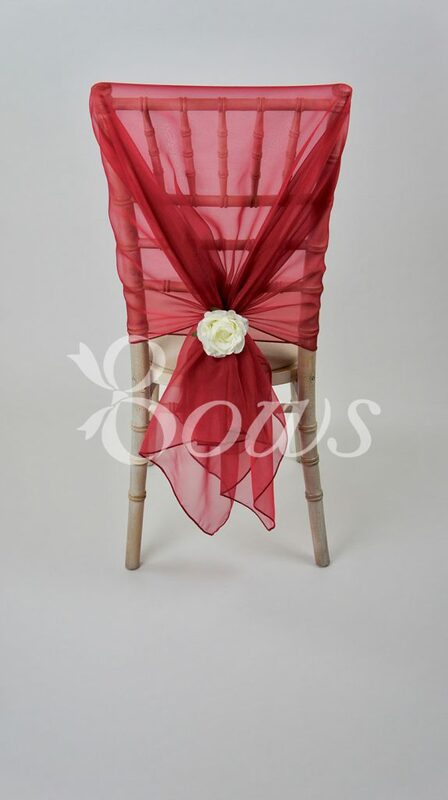 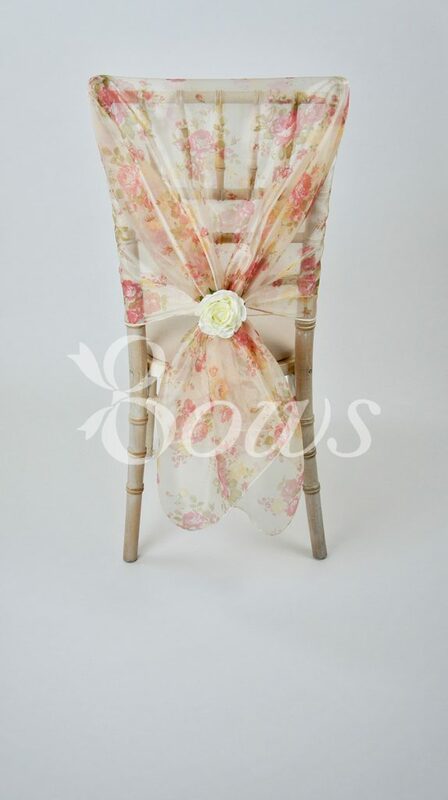 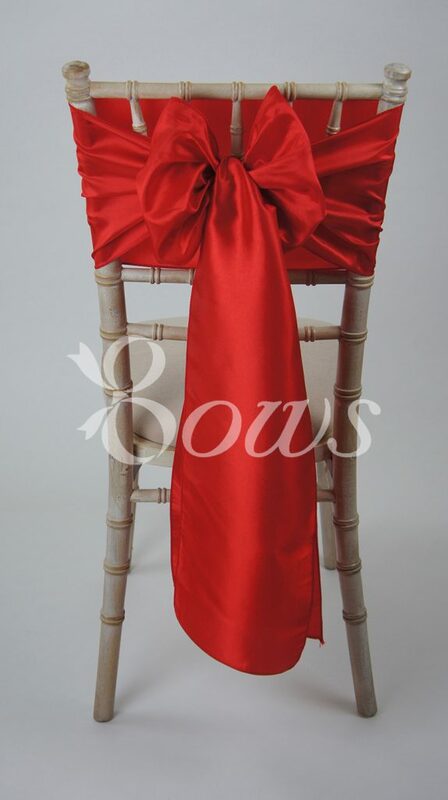 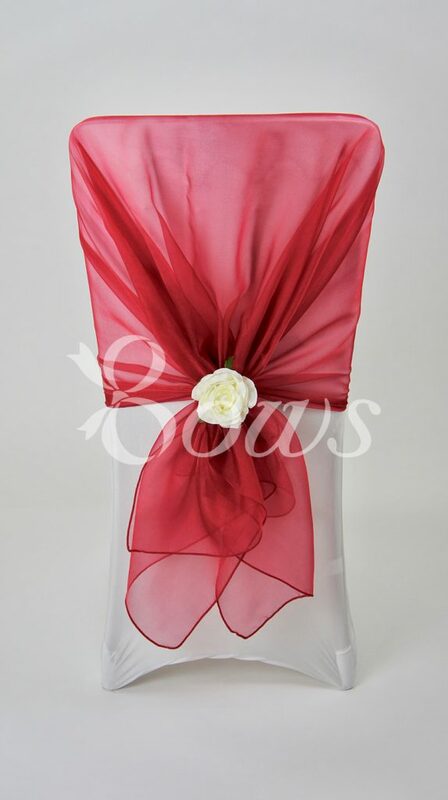 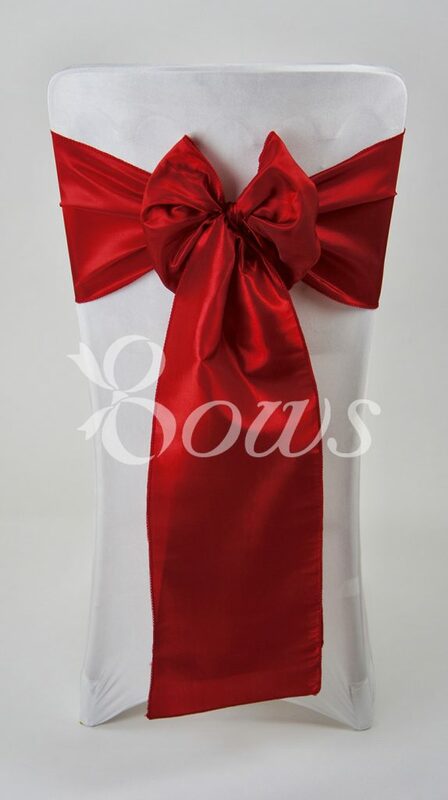 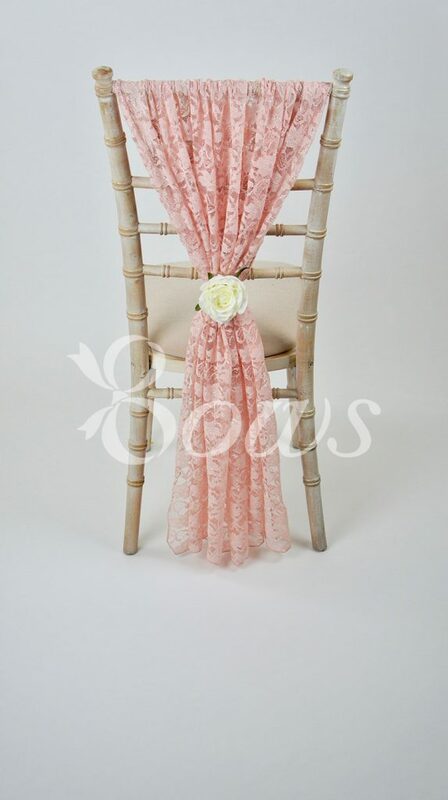 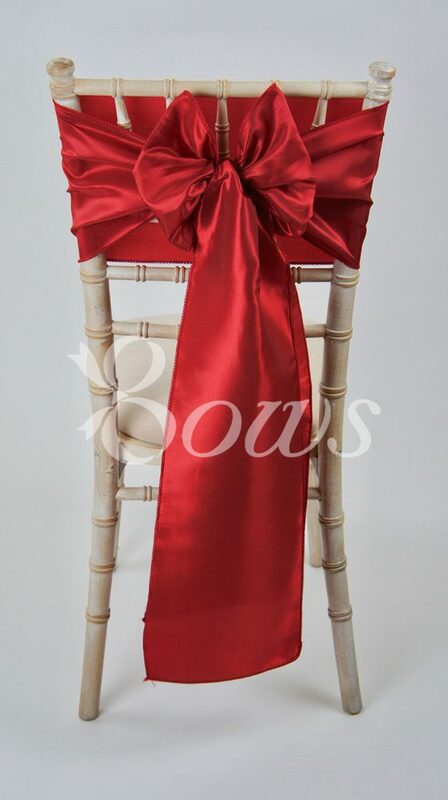 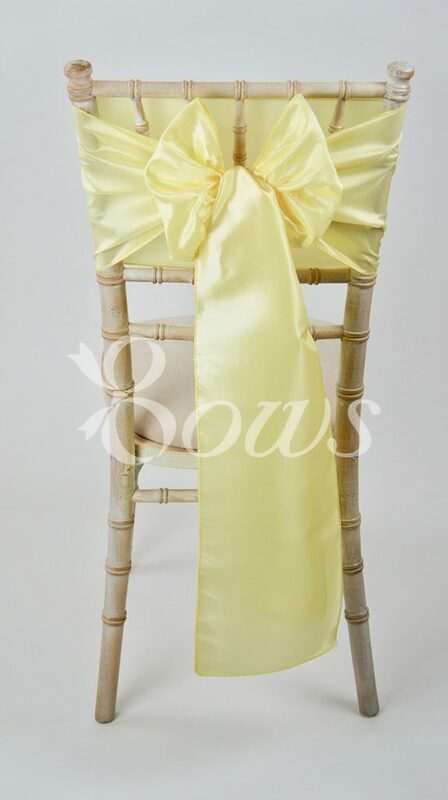 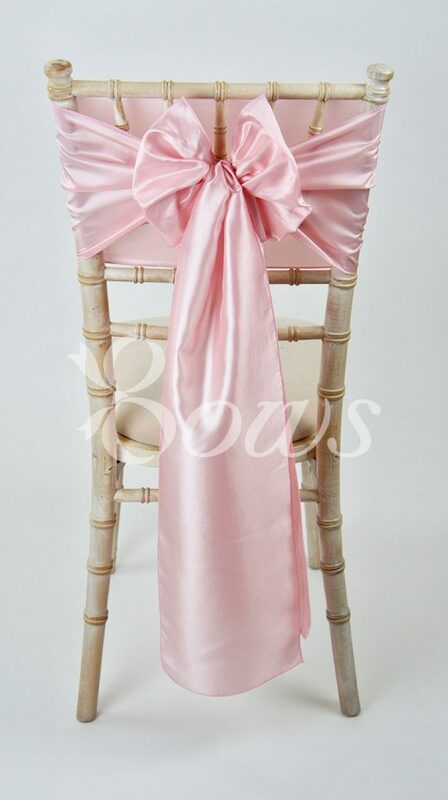 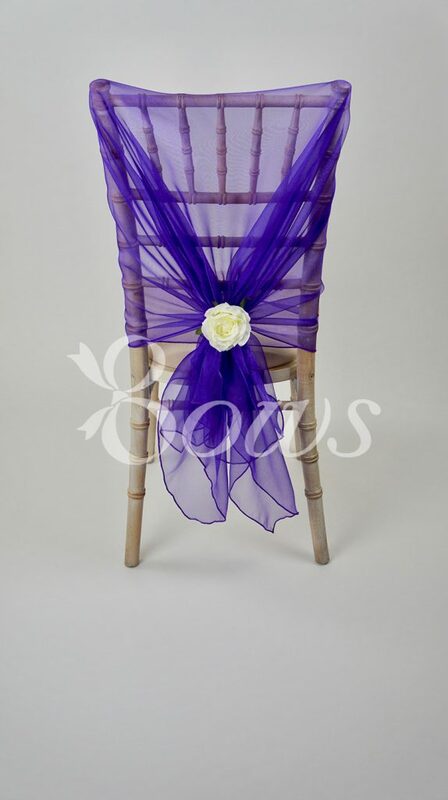 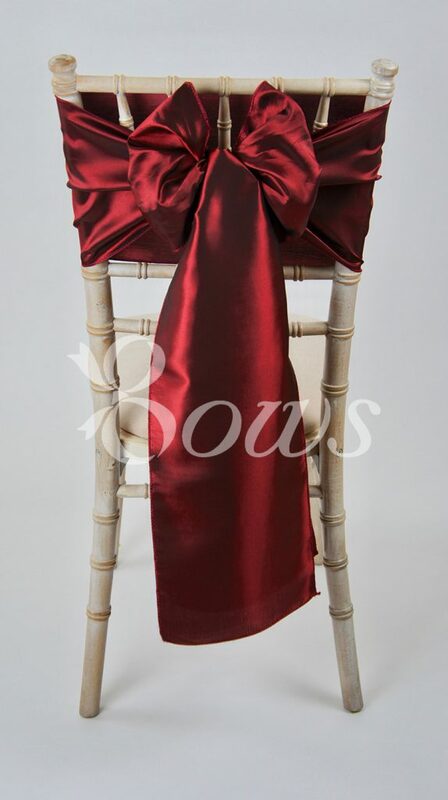 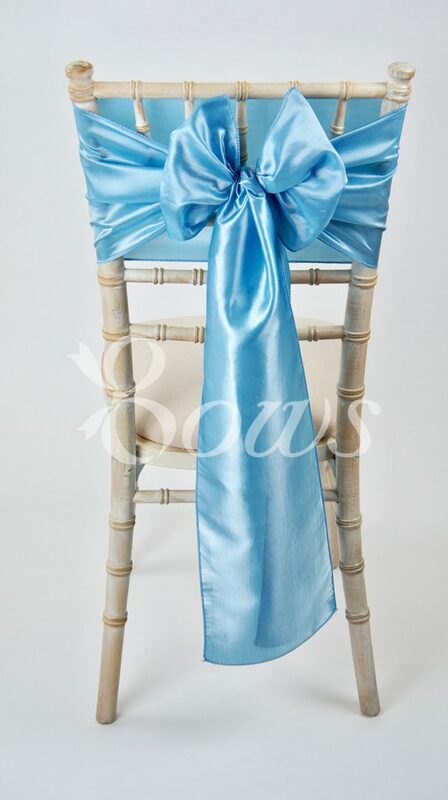 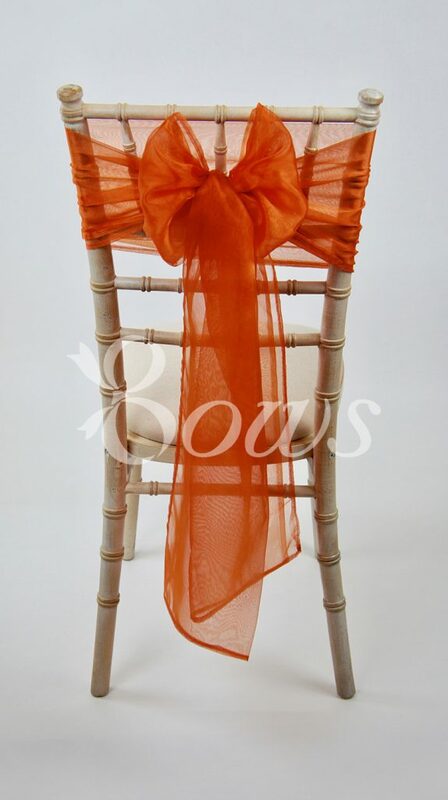 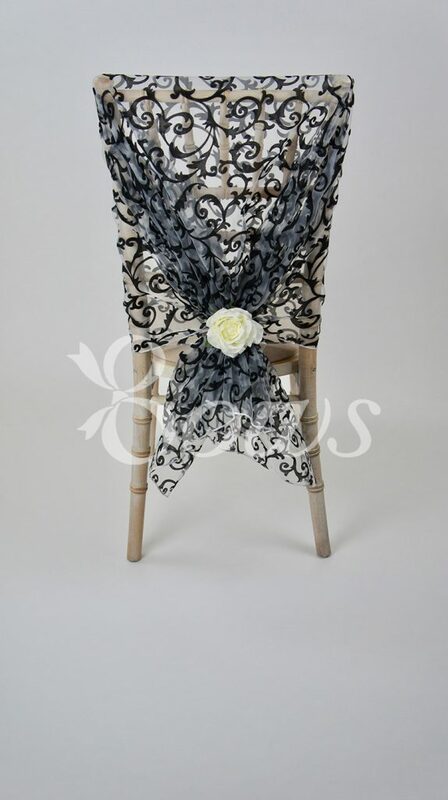 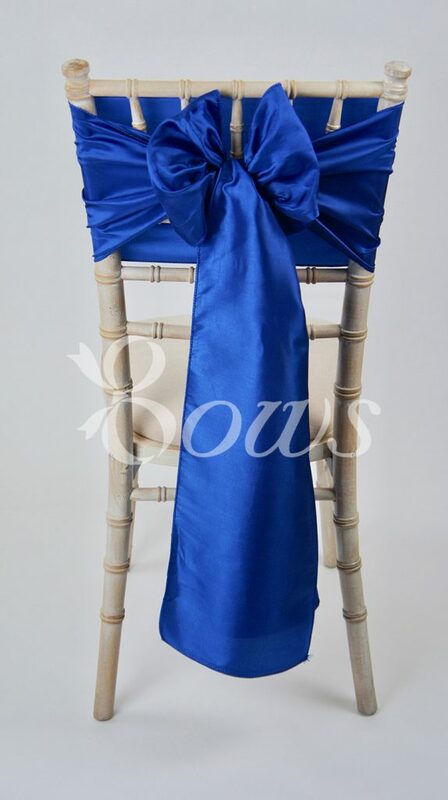 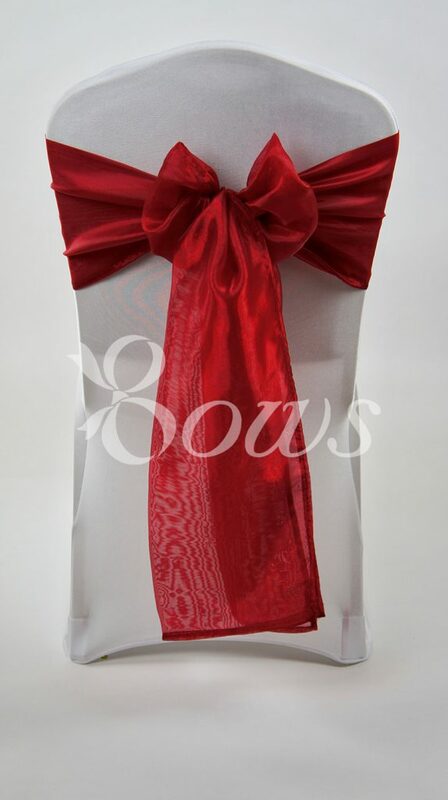 At Bows, our Covered Chairs offer a wide range of design and fabric styles to suit everyone. 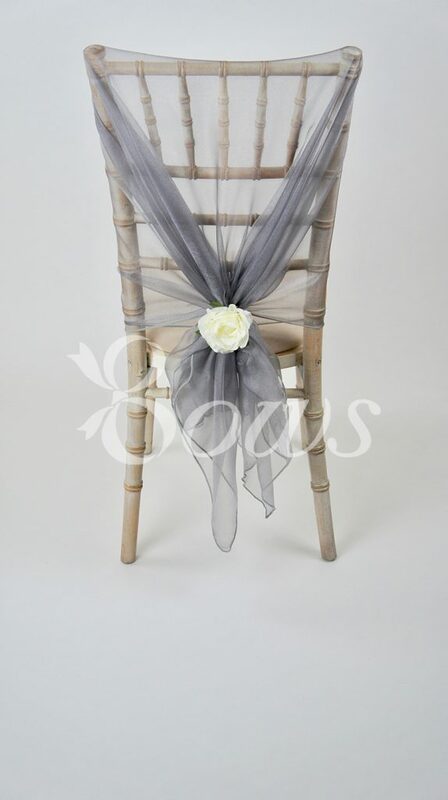 Hayne House Chiavari chairs can be covered with a premium quality moulded chair cover to give you a neutral base for your chosen styling. 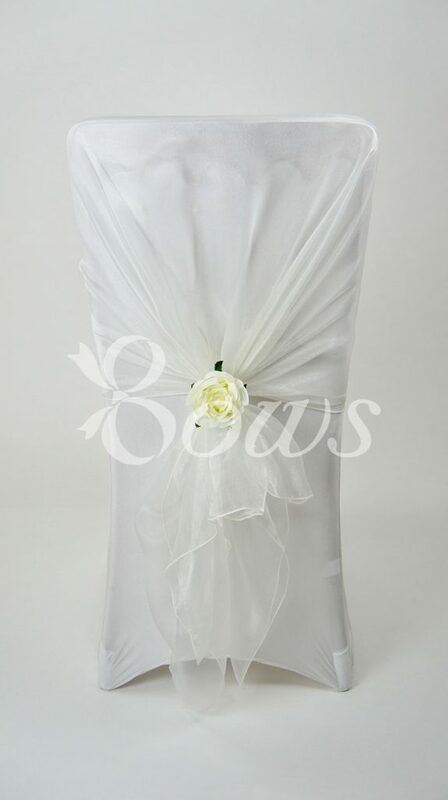 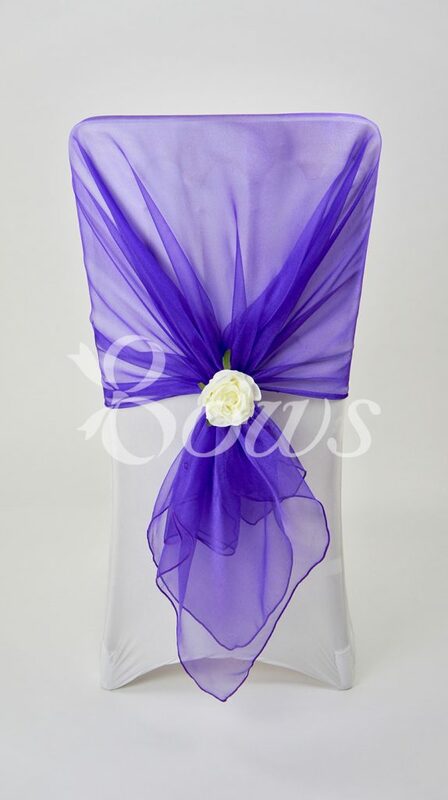 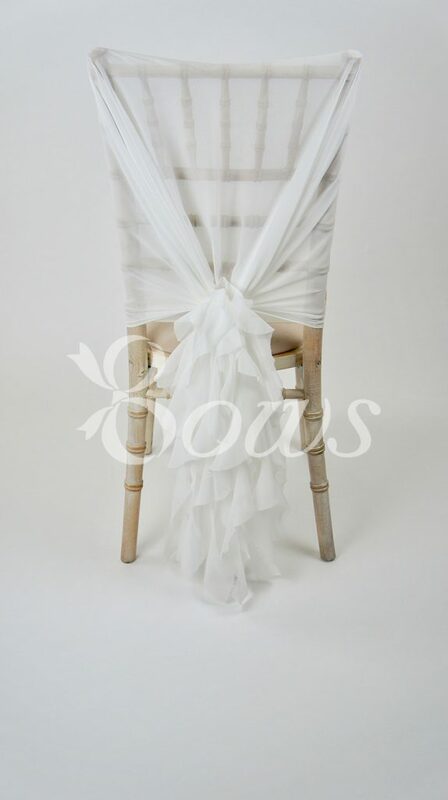 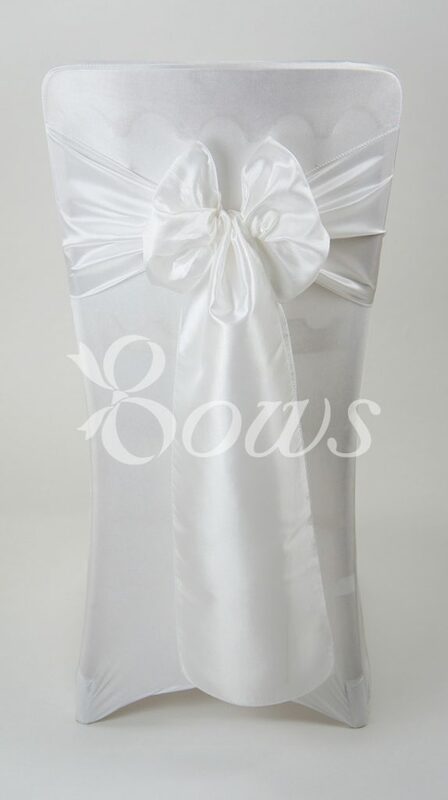 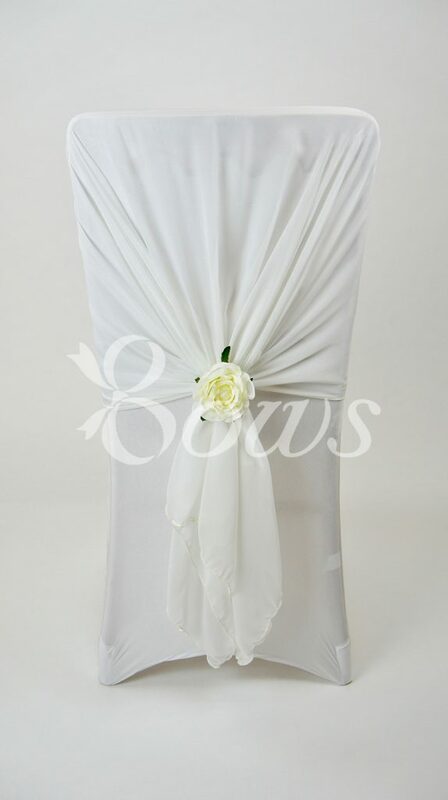 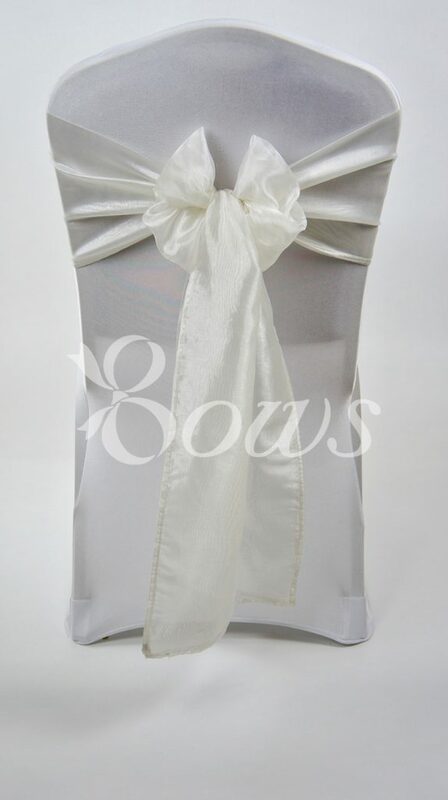 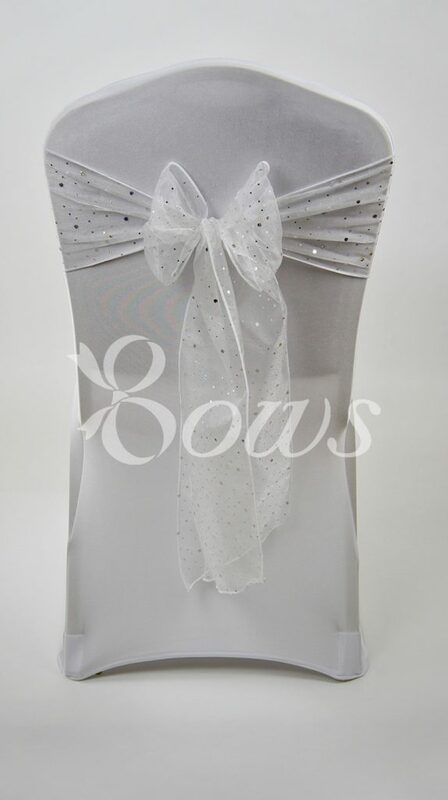 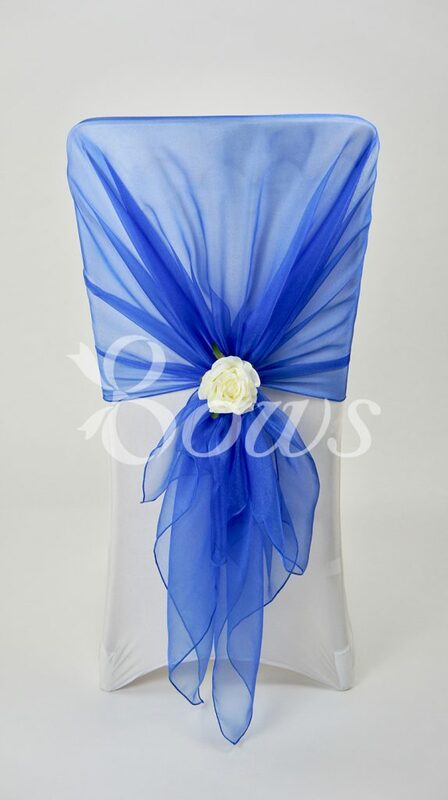 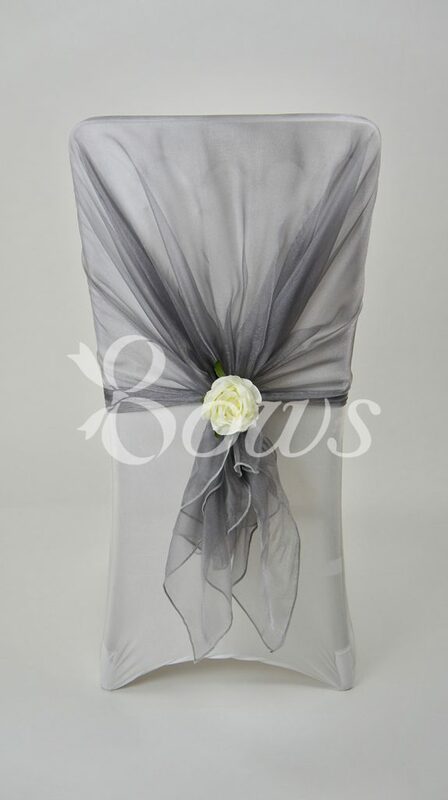 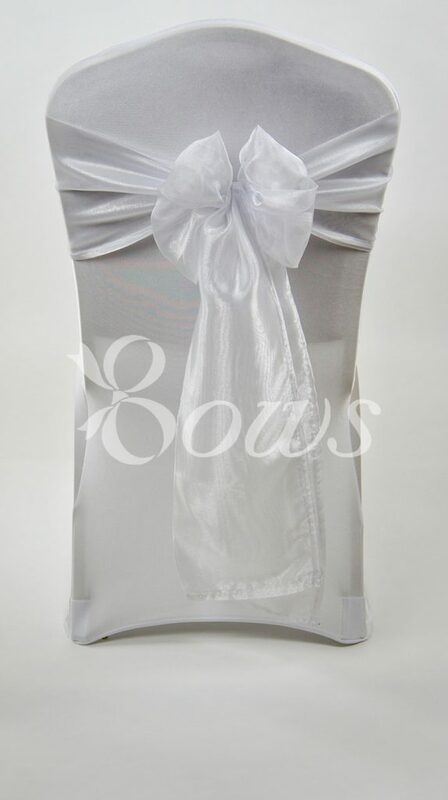 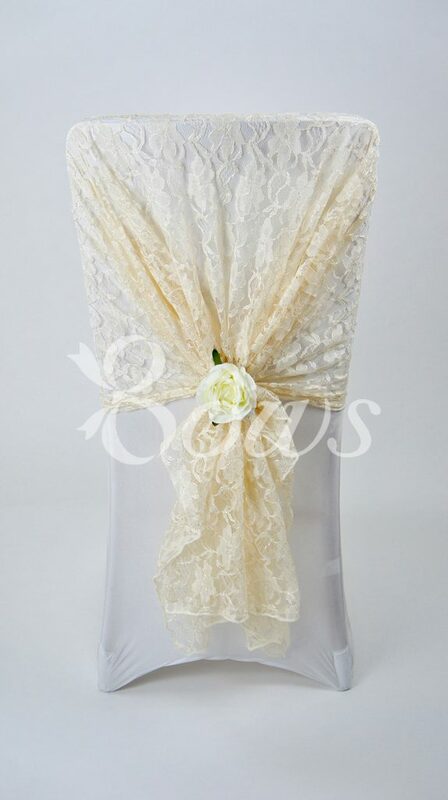 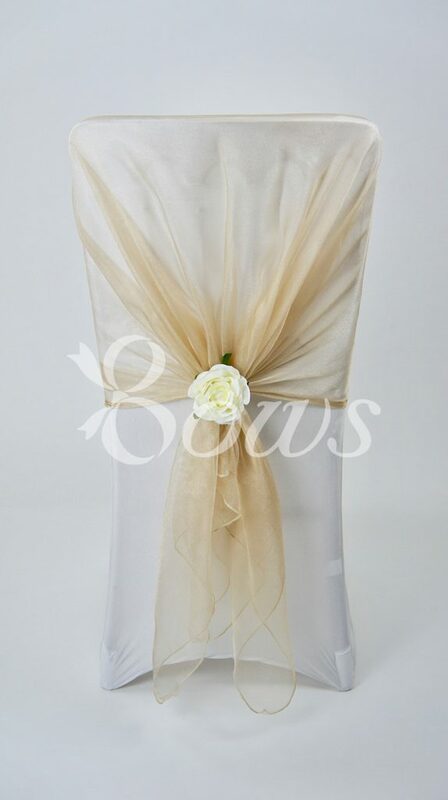 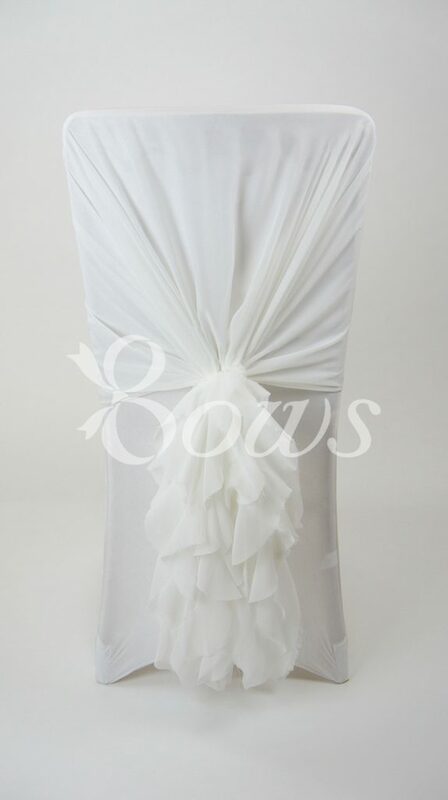 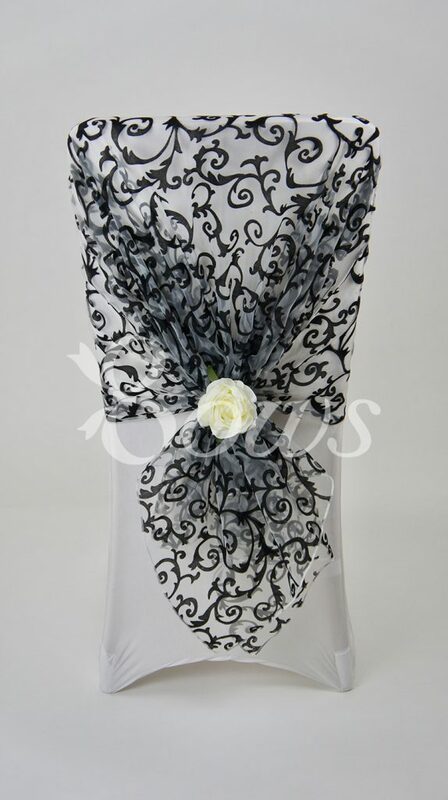 The white cover will enhance the colour of your chosen organza or chiffon dressing uniting your room styling with your carefully chosen wedding attire.